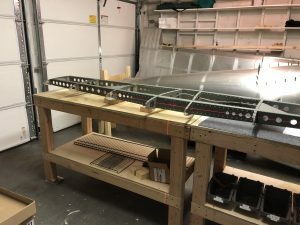 Philip's Sling TSi Build Log - Documenting the journey of building a Sling TSi aircraft in my garage. 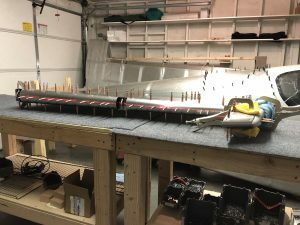 Documenting the journey of building a Sling TSi aircraft in my garage. Now that the Rudder is almost complete, I needed to make the wiring for the Anti-collision light permanent. 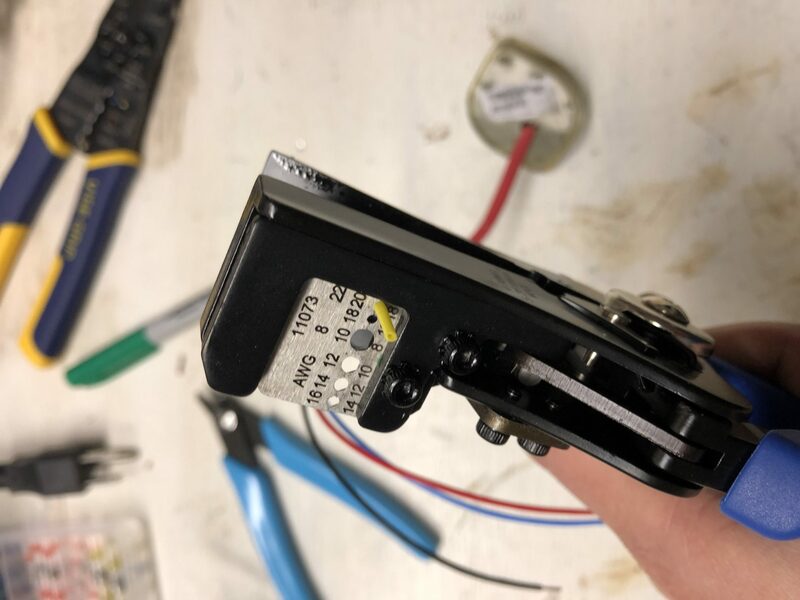 The existing wire of the Aveo Posistrobe Minimax I’m using has 4 wires (ground, power, strobe, sync), so I needed to splice those onto the wire so I could run it through the structure. 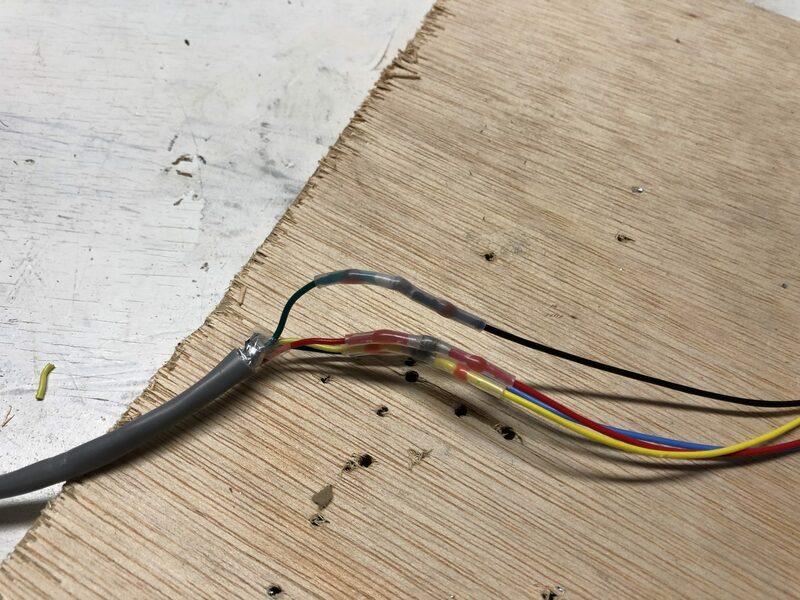 Since this is a permanent connection, I’m using Heat Shrink Solder Sleeves, which have solder in the center and when you heat it up, the solder melts and the sleeve shrinks down to create a good seal. 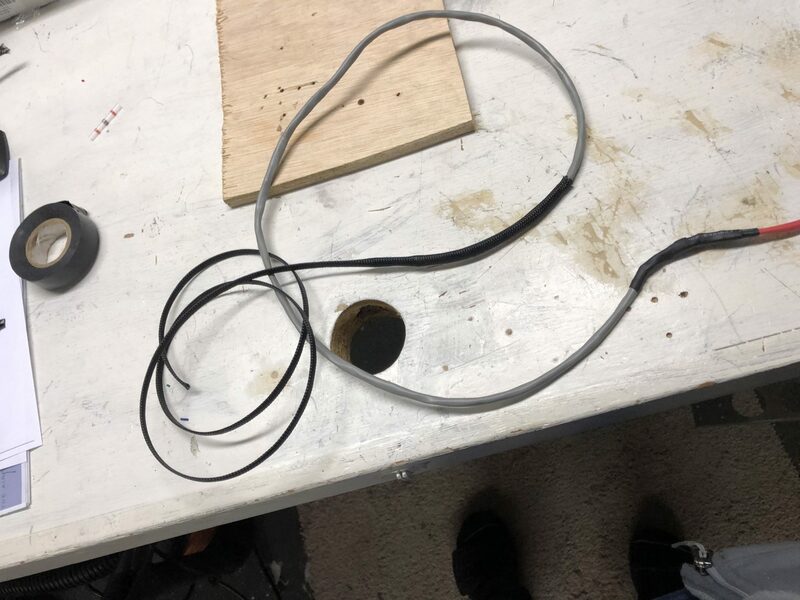 After that was done, I added some expandable braided Sleeving over the wire for extra protection. I up sized the hole for the wire to pass through the fiberglass tip using my step drill bits and then ran the wires through the structure and out the front hole, which I also had to drill up as per the instructions. After some more research, I replaced the rubber grommets with snap bushings. 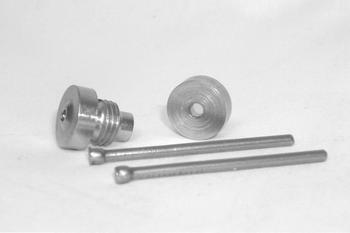 They last longer and for the front hole in particular, they hold on better since they snap in place. 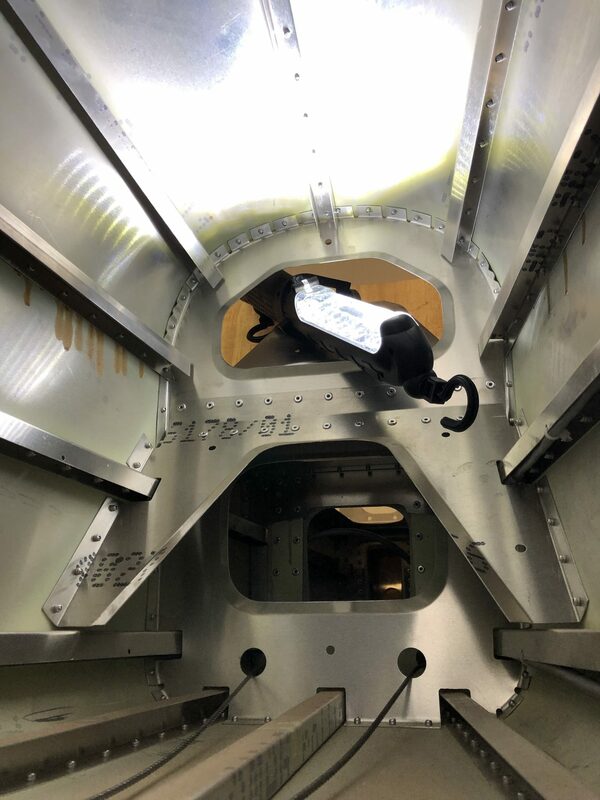 Here’s the light mounted and completed wiring done. 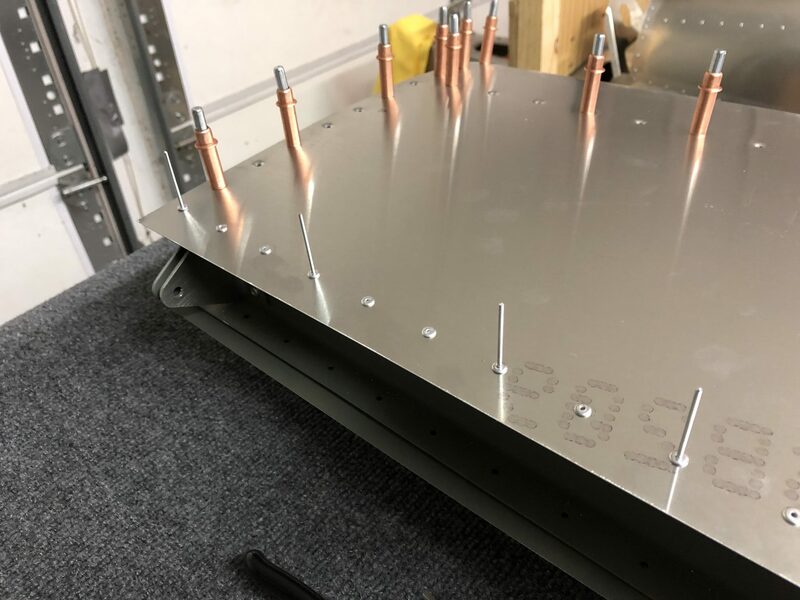 Now the last thing to do is close up the top. 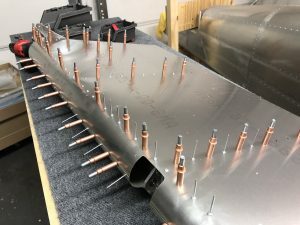 Inspired by a discussion from a while ago on the Sling Builders group, I was contemplating the idea of making the fiberglass tip removable using nut plates and screws, but I think I’ll end up just riveting it closed. 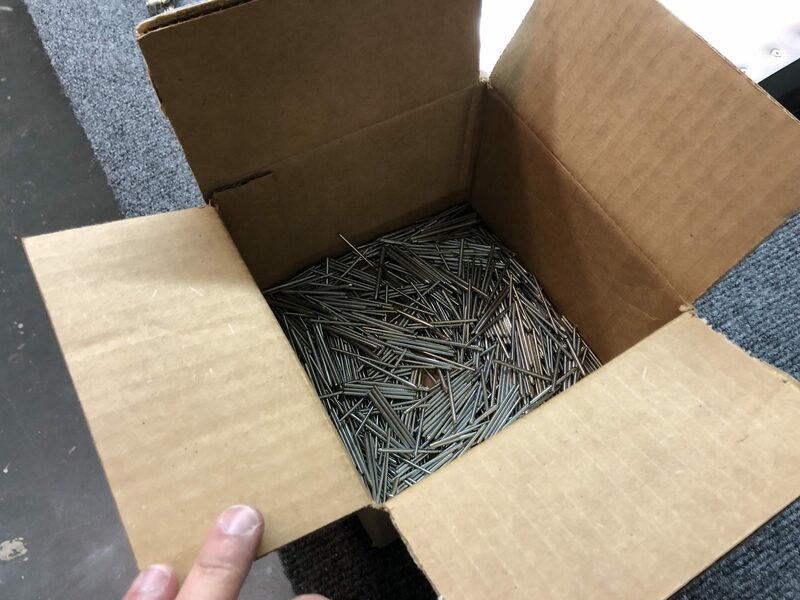 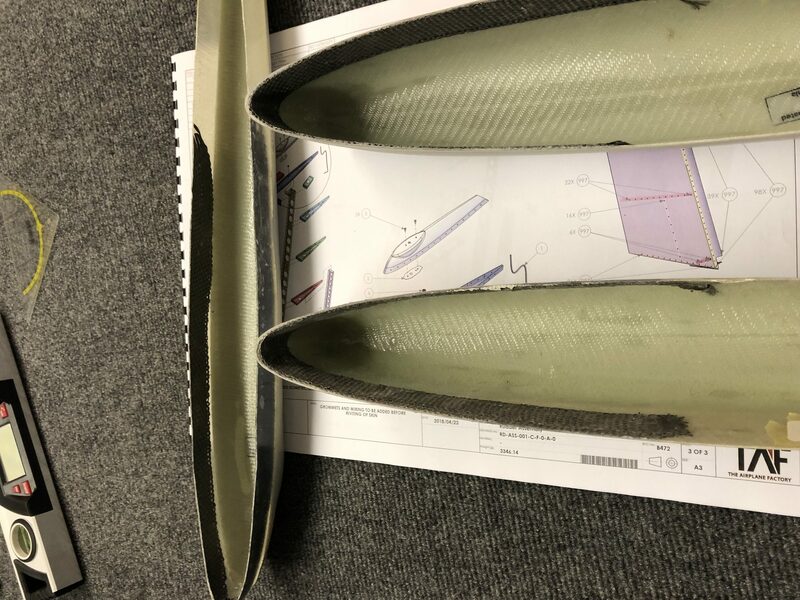 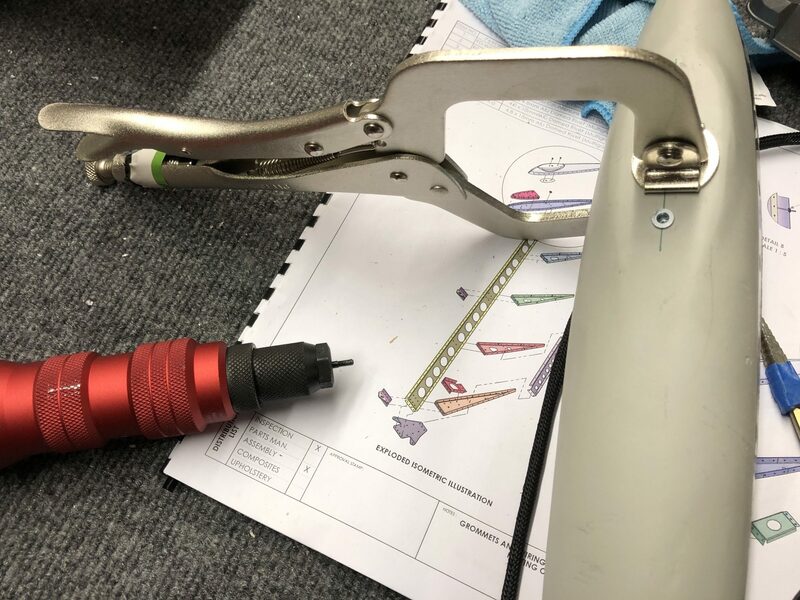 This entry was posted in Rudder, Empennage and tagged tools, Empennage, Electrical, lights, wiring, Rudder, heat shrink, grommets on 2019-04-17 by Philip Rueker. I spent some time over the past week figuring out Electrical wiring and Antennas, talking with Adam from Midwest Panel Builders who I am working with for my panel and wiring. 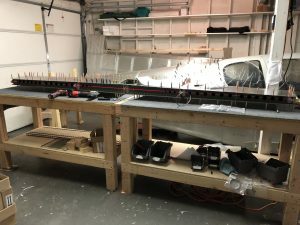 Aside from that I was working on finishing the Rudder and preparing for the next parts. 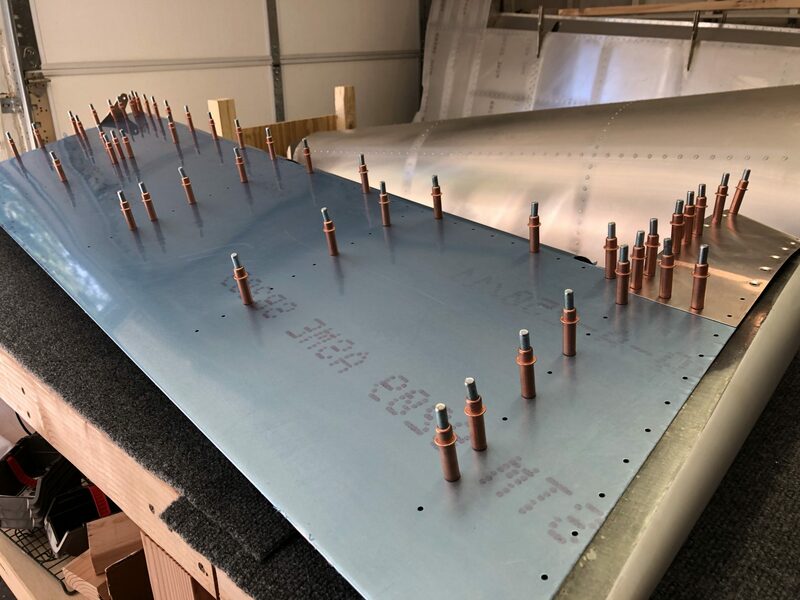 Jean is sending me replacements for the dented ribs of the Vertical Stabilizer, so I can put that together next and the Navigation Antenna will arrive this week as well to get that going. 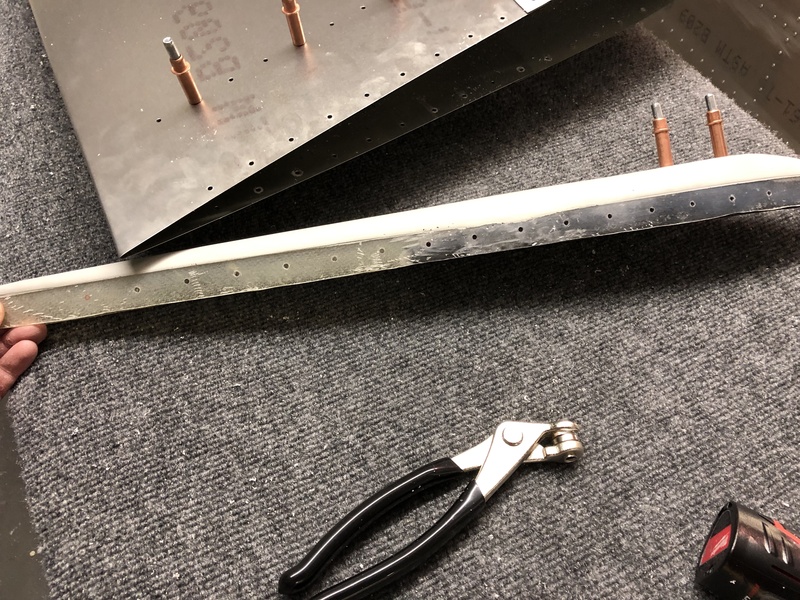 I will be using the Rami AV-525 VOR/LOC/GS Antenna. 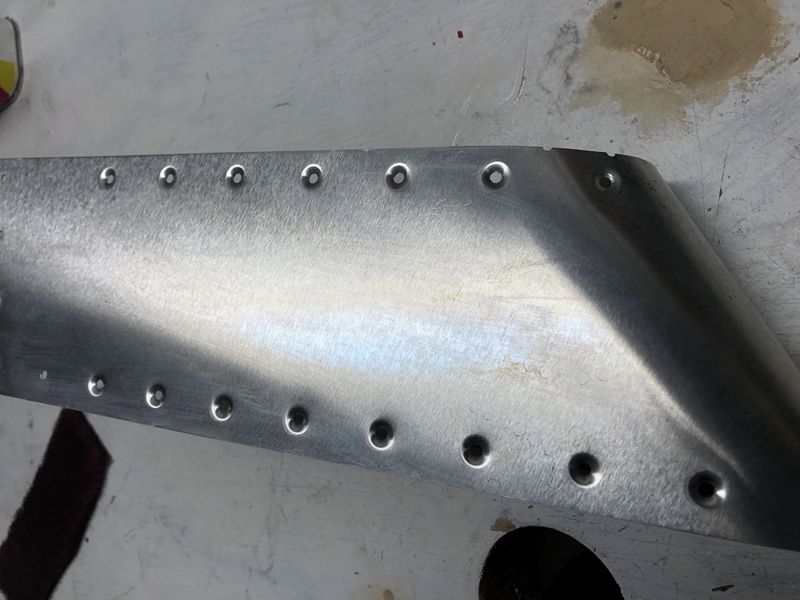 Riveting the skin went all pretty smoothly. 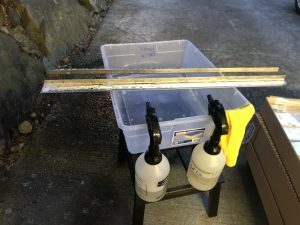 I had to take off the front top skin one last time as I had a bit of overspray on the outside from priming. 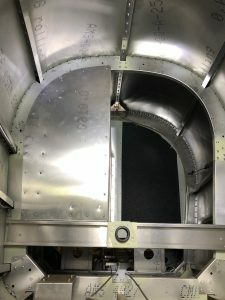 A little bit of scrubbing using MEK and it was all clean. After I finished the skin, I worked on mounting the support plate I made earlier for the anti collision light on top of the fiberglass tip. To pull the rivnuts I’m using the Astro Pneumatic ADN14 tool and Loctite 277 Threadlocker. 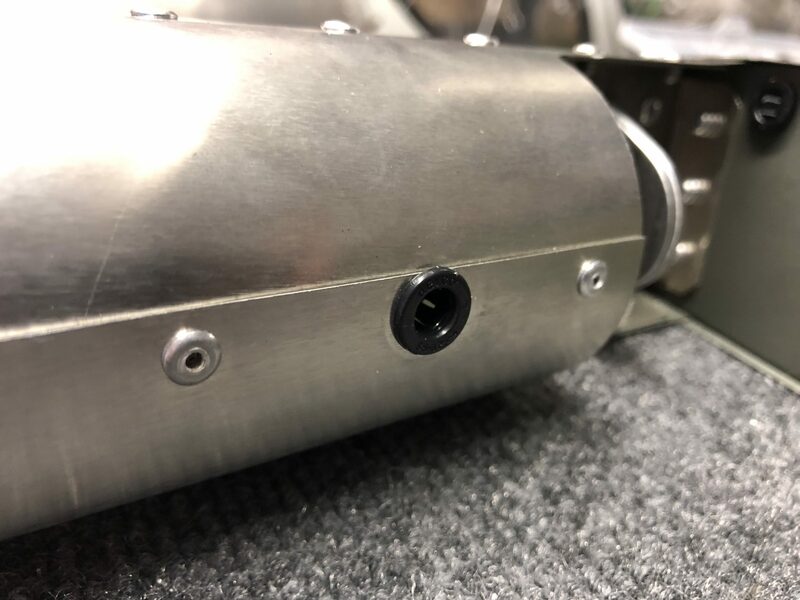 It just mounts to the front of my drill and then you just need to hold the shell and the drill pulls in the rivnut. 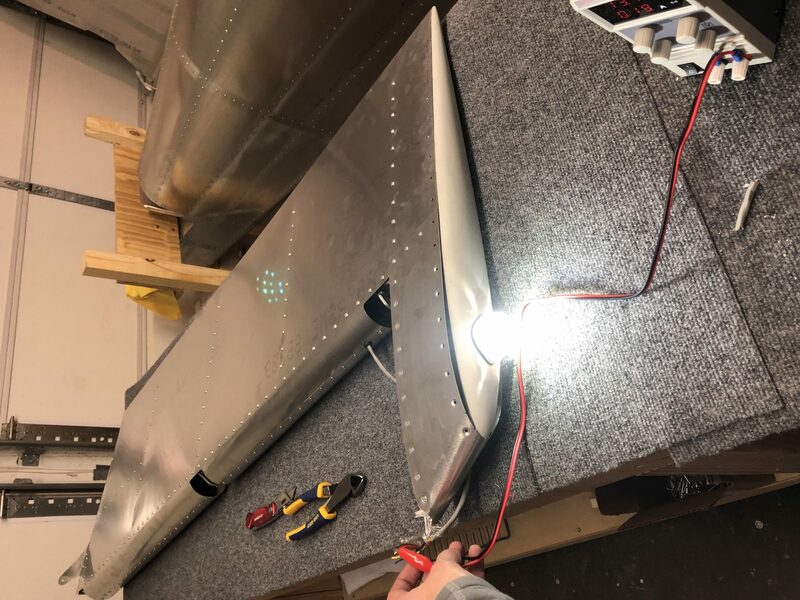 After all that was done, I temporarily mounted the light onto the Rudder and ran the wire through the structure. 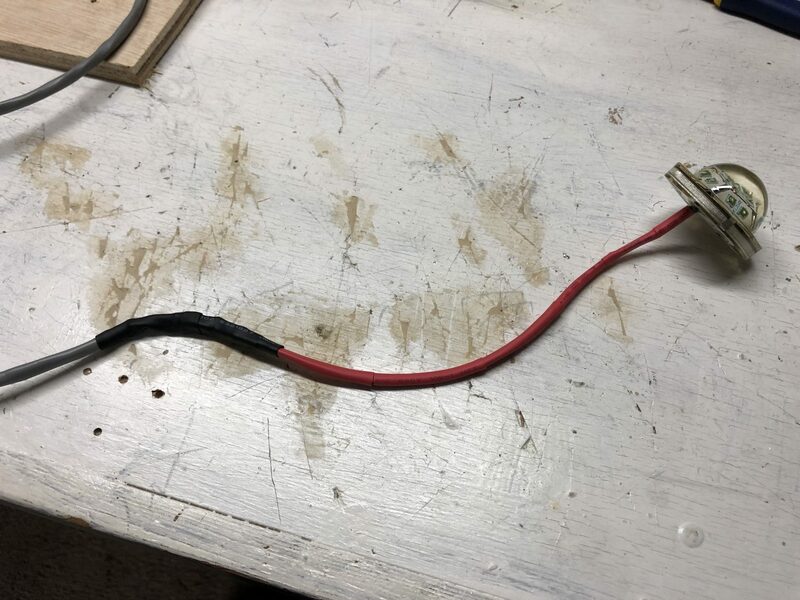 Then I brought over my DC Power Supply unit and made it shine brightly. 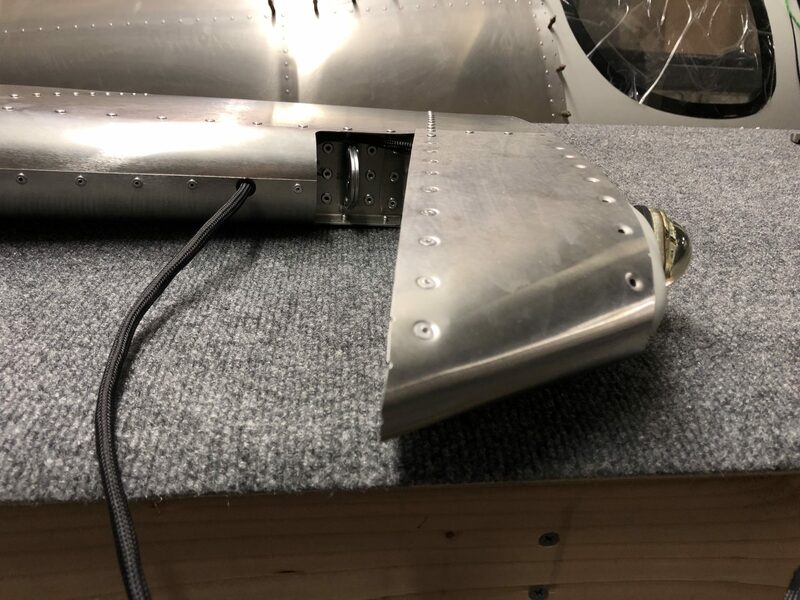 This entry was posted in Rudder, Empennage and tagged Empennage, Electrical, wiring, Rudder, Fiberglass, Antenna, Panel on 2019-04-13 by Philip Rueker. After having primed the inner surface of the Rudder skin the other day, I had all the pieces together to start working on finishing the rudder. I attached the skin onto the structure and clecoed it into place. 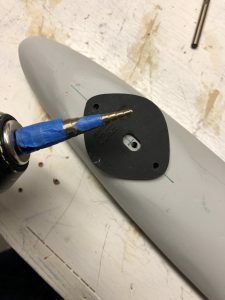 Once that was done, I went to work to fit the fiberglass tip onto the skin. 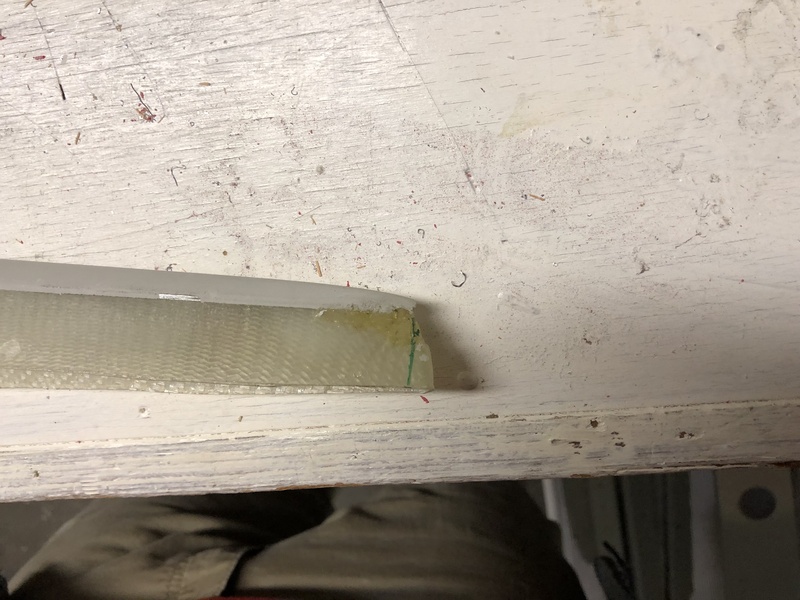 I had to trim a little bit away from the bottom of the fiberglass. 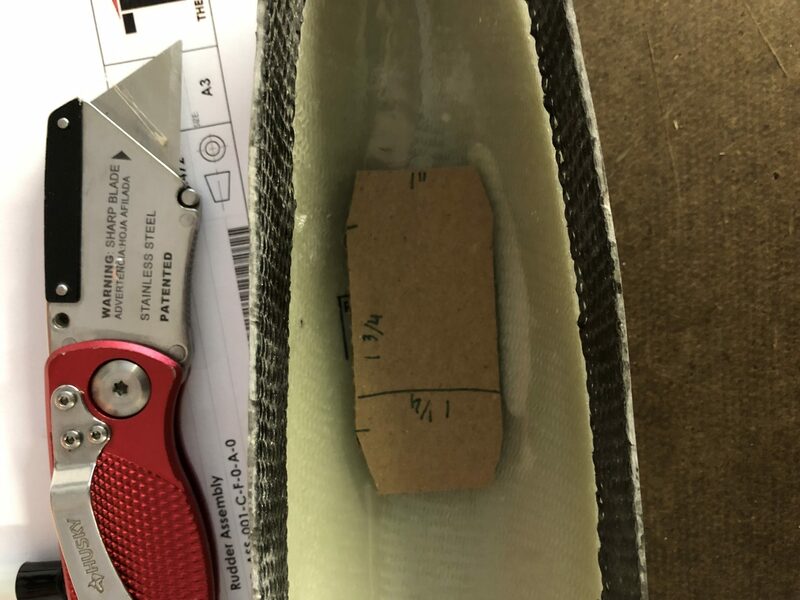 I made a first rough measurement, trimmed it away using my Dremel and then tried to fit it in. 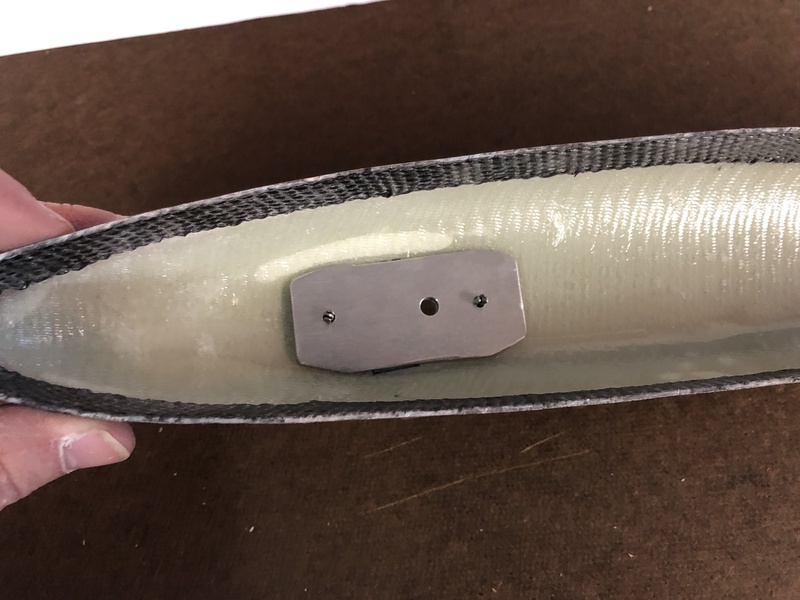 After aligning it all, I did a second small pass to trim a tiny bit more, placed it into the skin again and then it looked all good. 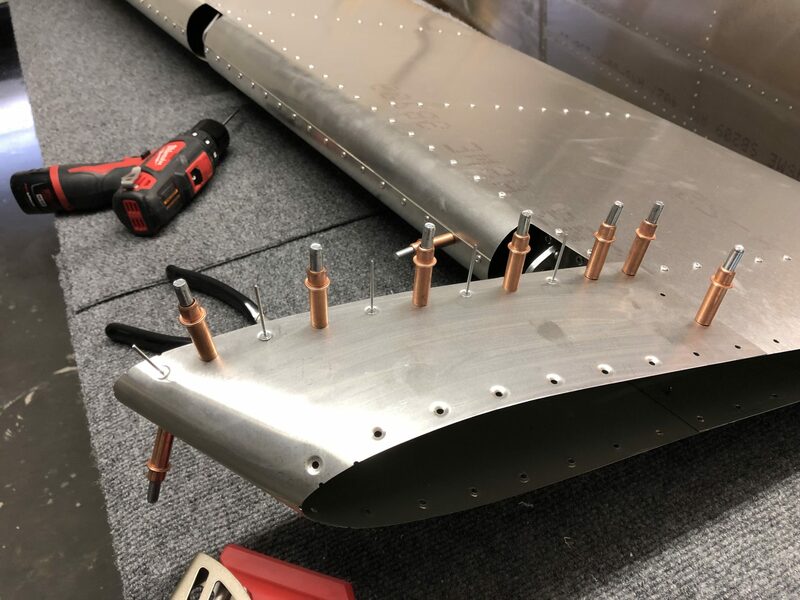 Since the instructions are very explicit to make sure that the alignment of the rudder is perfect, I checked the alignment from all sides and it all looked good. After all that looked good and triple and quadrupple checking that the fiberglass tip sat flush in the skin I made marks for match drilling the holes and then went to work and carefully drilled the holes into the fiberglass. 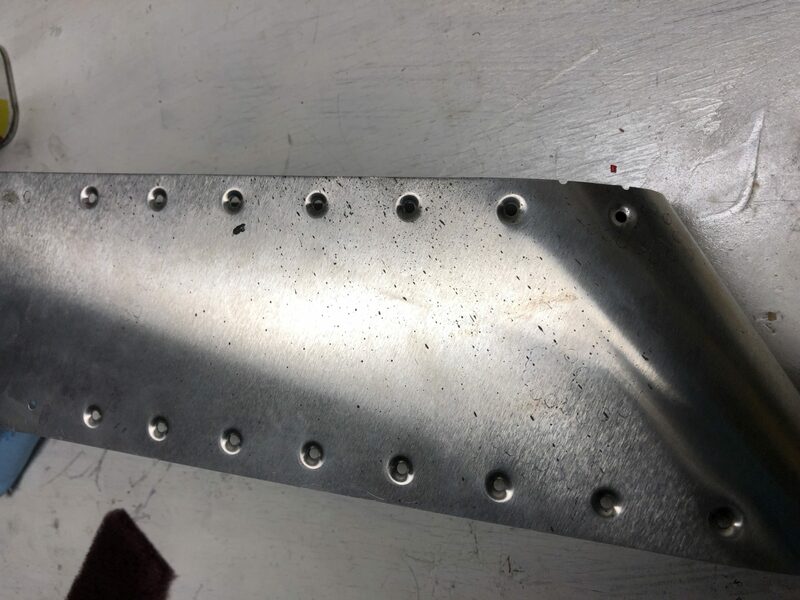 Once that was done, it was time to countersink the holes in the front. 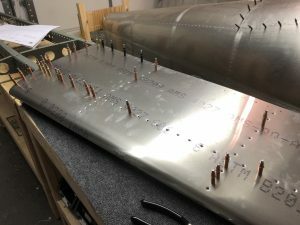 The instructions contradict themselves – only the first 7 holes get countersunk rivets, which mathematically adds up properly to the 32 rivets (2 x 7 on the top and 2 x 9 on the bottom = 32). So after counting all the holes and re-checking the instructions and doing basic math, I decided to only countersink the first 7 holes. 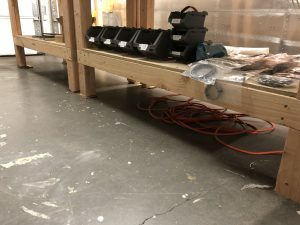 I sent an email to the factory yesterday and they confirmed that I was right and they’ll fix the instructions in the next iteration. 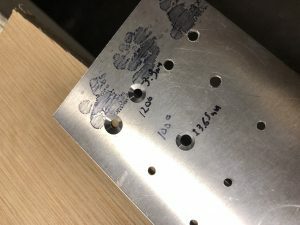 Before I went to work with the countersinking, I calibrated the micro stop countersinking tool using a scap piece of Aluminum to ensure the depth was set correctly and made sure that I had the correct 120 degree pilot cutter in the tool (I made a whole post about why using the 120 degree pilot was important here). 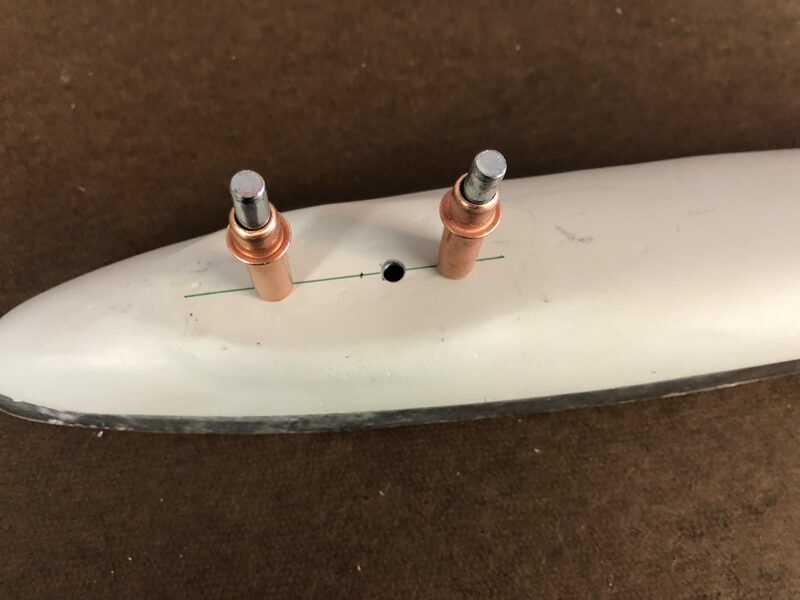 After all that was ready, I went to work, mounted the fiberglass tip gently in my bench vise and started drilling the countersink holes. All the countersunk holes came out well and everything sits flush now. 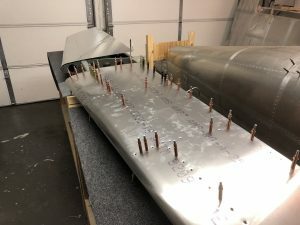 So after all that I went to work and started riveting some of the skin. 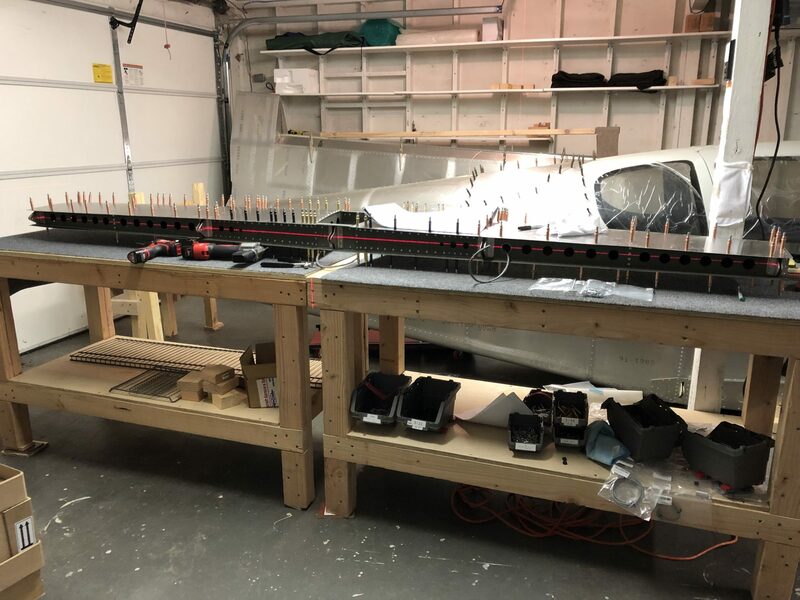 This entry was posted in Rudder, Empennage and tagged tools, Empennage, skins, countersinking, riveting, alignment, Rudder, Fiberglass on 2019-04-05 by Philip Rueker. 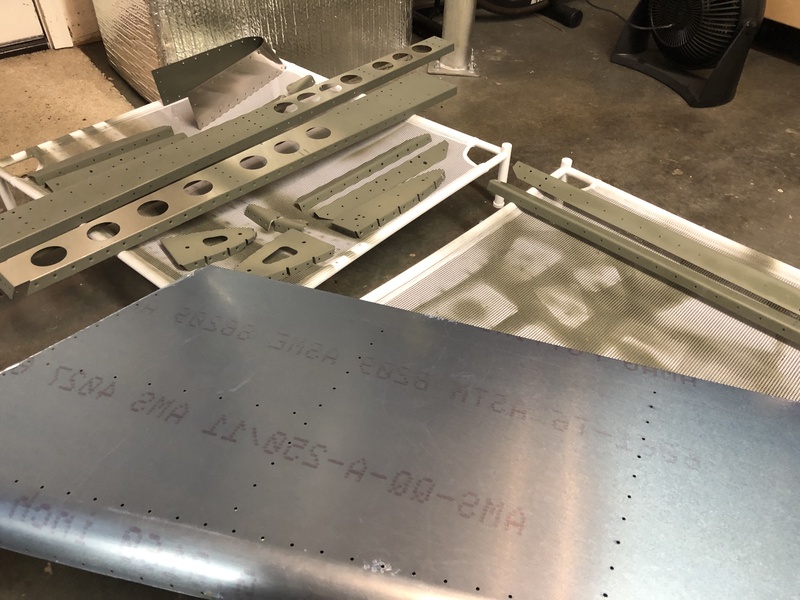 In order to finish up the Rudder, I still had to prime the inner mating surfaces of the skin, so in order to get ahead I decided to also prepare the parts for the Vertical Stabilizer and prime those as well. 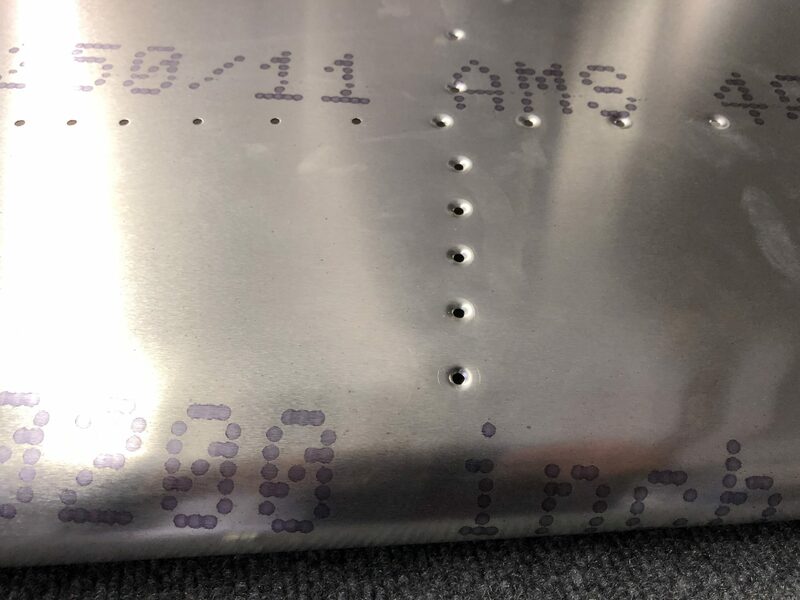 After removing all the protective plastic from the parts and inspecting them, I unfortunately found that there was some dents in Rib 1, 2 and 3, so I requested replacements from the factory since those are structural parts that shouldn’t be compromised. 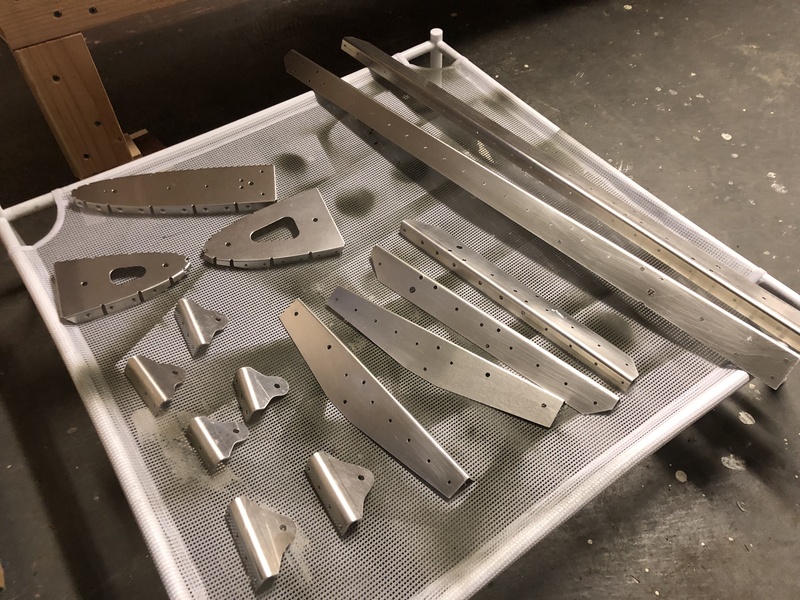 I still went ahead and cleaned and degreased all the other parts. 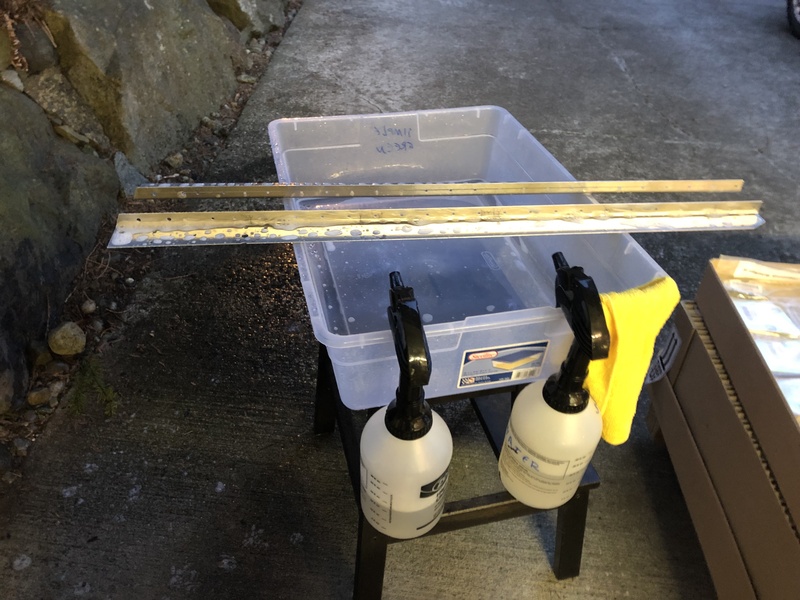 Luckily it’s getting a bit warmer, so I could leave the garage door open and do the cleaning outside, to make less of a mess in the garage. 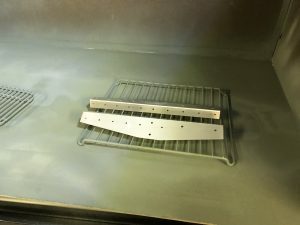 Once I was done cleaning all the parts with Simple Green, degreasing them with MEK and rubbing them down with red scotch brite, I set up my small paint booth and primed everything. This entry was posted in Vertical Stabilizer, Empennage and tagged primer, Empennage, skins on 2019-04-01 by Philip Rueker. Over the past few days I spent some time organizing the next few parts of the Empennage such as organizing the Vertical Stabilizer parts and what I needed to finish for the Rudder. 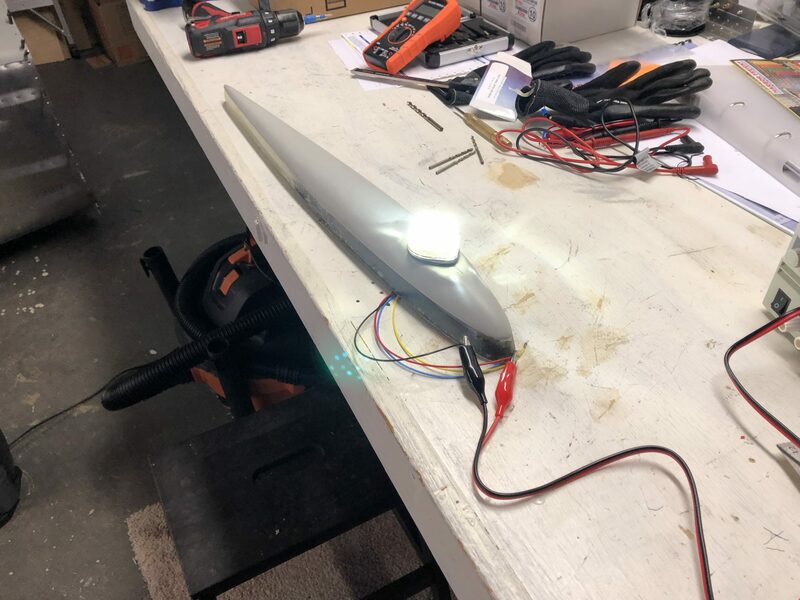 I got the Aveo Posistrobe MiniMax anti-collision light to mount onto the rudder tip and started working on fitting it on. Light temporarily on top and shining bright like a diamond. 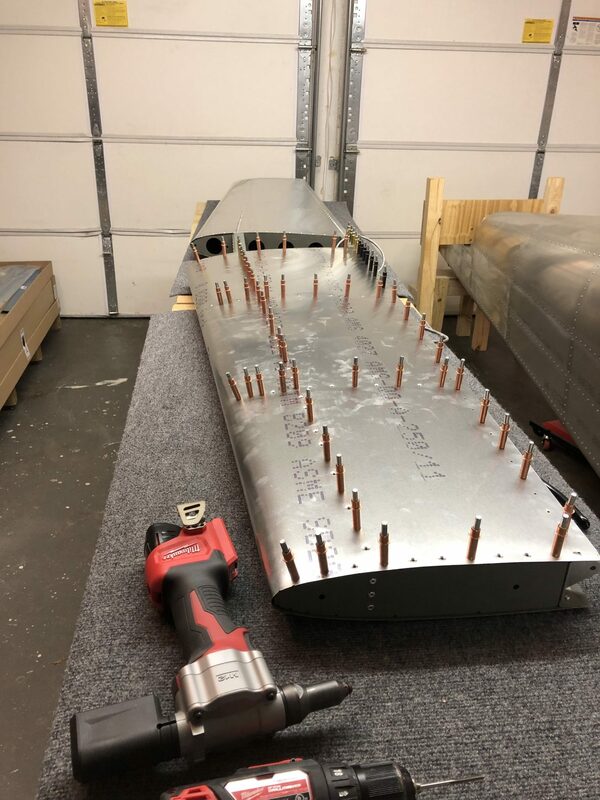 The first iteration of the Empennage assembly instructions called out for a mounting plate to go inside the fiberglass tip to add structural reinforcement for the rivnuts, but the latest version of the instructions is missing it, so I sent a question to the factory why. 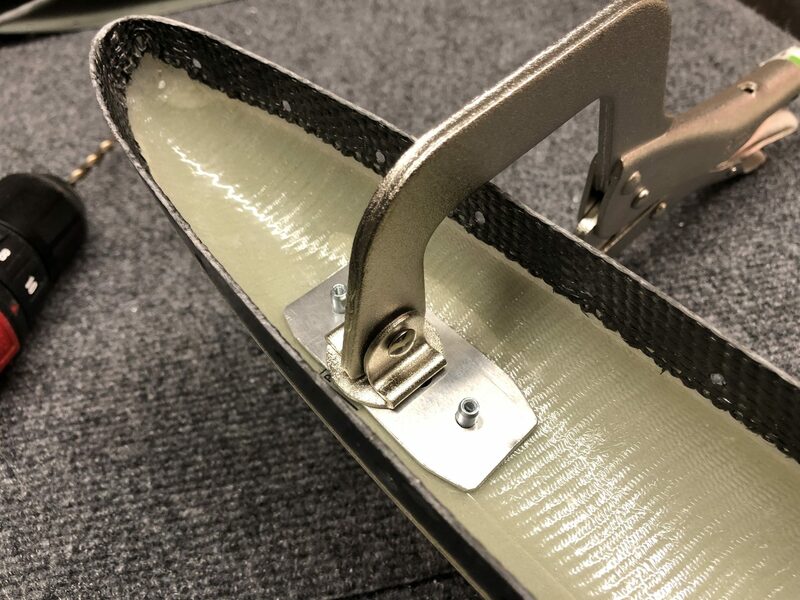 In the meantime, since I assume that it’s still a good idea since both the Sling 4 instructions as well as the first version of the instruction call for it, I decided to fabricate my own. 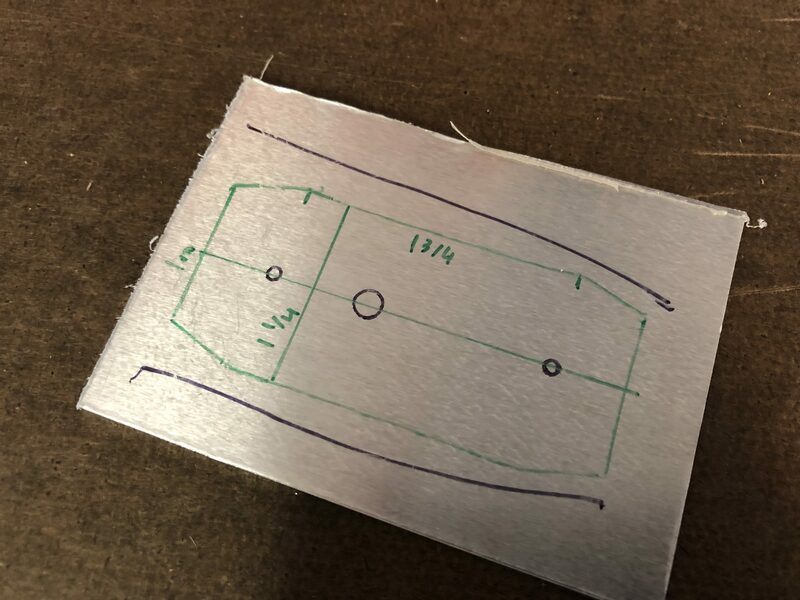 I started tracing out the rough dimensions of the area and then measured it down to how it would fit. 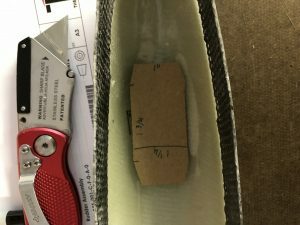 Then I made a first version out of cardboard to see if the dimensions I estimated would work. 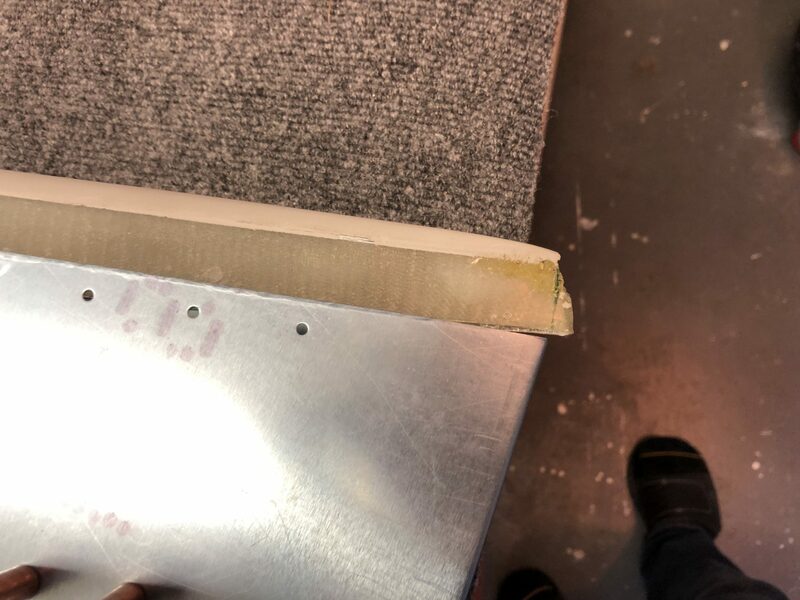 Looked good, so then I copied my cutout onto the sheet metal and went to work cutting it out. 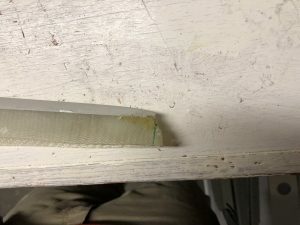 I used a OLFA Scoring knive to score the cut, based on a tip from HomebuiltHELP. Since my metal was pretty thick I only scored it with that and then used metal snips to cut it, but for thinner metal you can actually make the whole cut using the scoring knive to make great straight cuts. 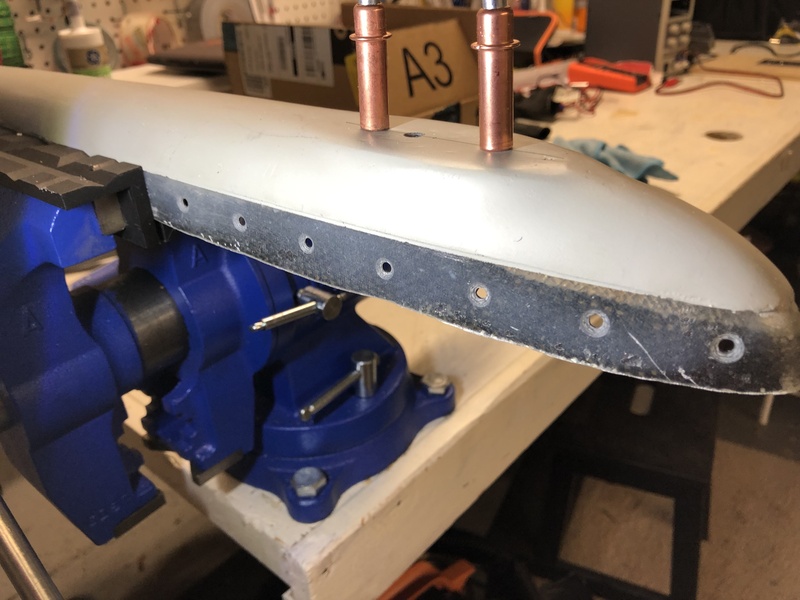 After that, I deburred all the edges and the holes and then checked the final fit in the rudder tip. 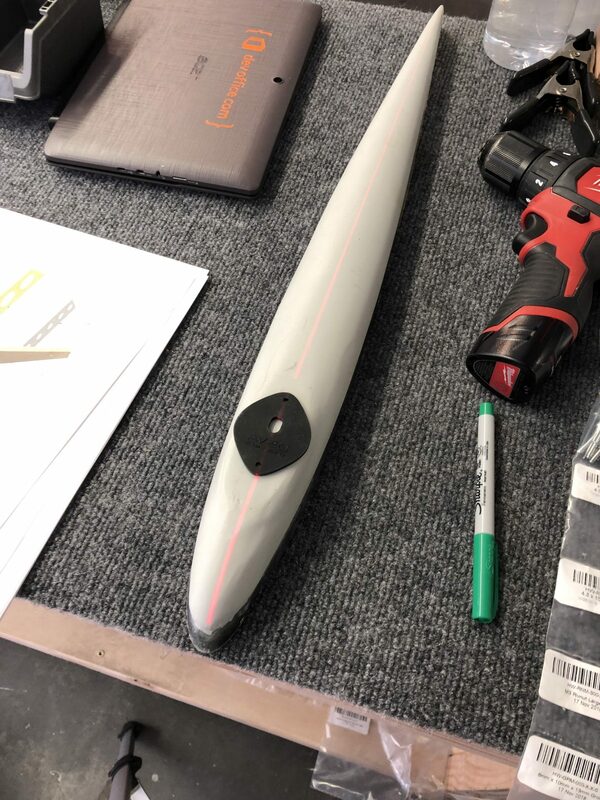 I also test fitted the skin onto the rudder and checked how the tip will fit in. The skin came on fairly easily, but I will have to trim a little bit of the fiberglass tip so it will fit in. 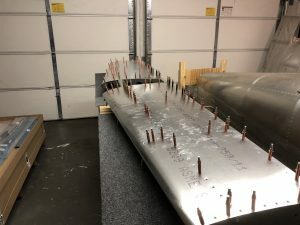 I still had to prime the inside of the skin, so now that I know it all fits together fine, I will rivet the skin on and then work on the final trimming for the rudder tip so it fits in and then I will need to match drill the holes into the fiberglass tip and countersink the front holes. 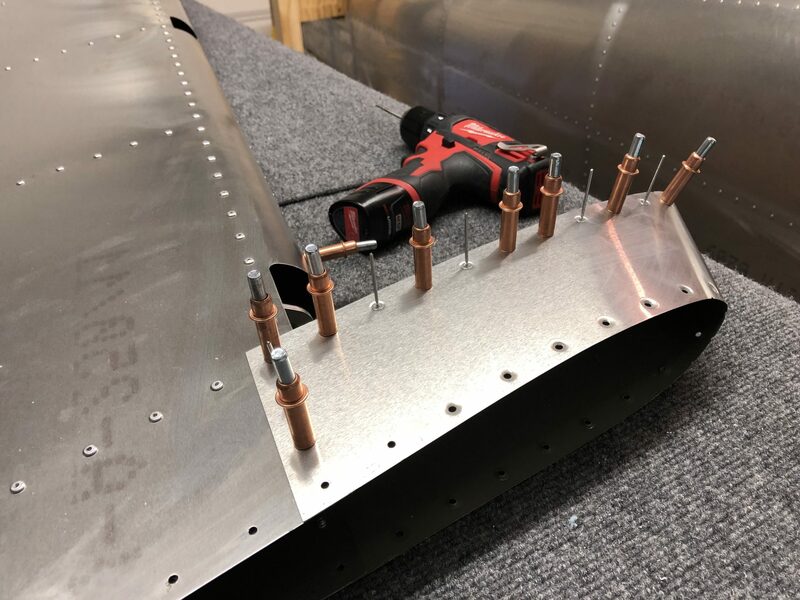 This entry was posted in Rudder, Empennage and tagged tools, Empennage, Electrical, wiring, alignment, Rudder, Fiberglass, fabricating on 2019-03-31 by Philip Rueker. 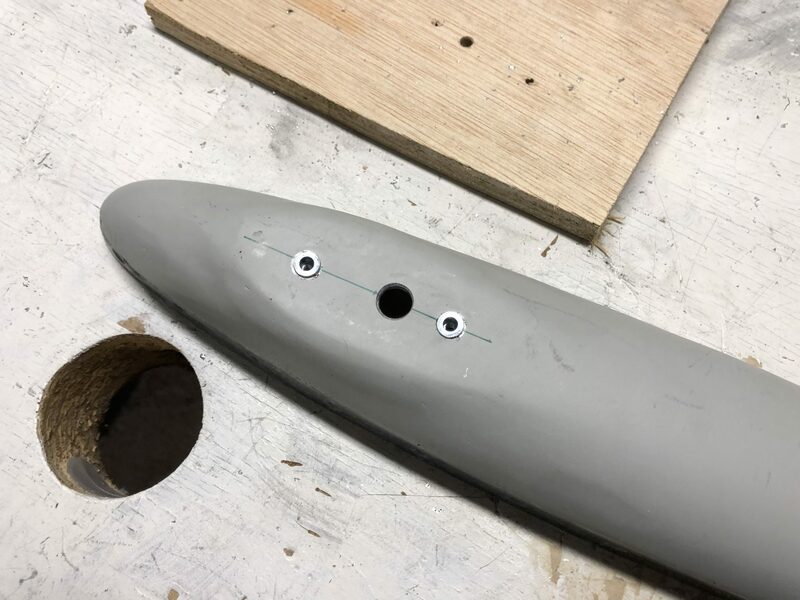 The pop dimpling tool that I ordered a few days ago arrived on Friday, so I spent some time trying it out to make sure it worked properly so I could finish adding the missing dimple to the skin and finish closing up the Horizontal Stabilizer. 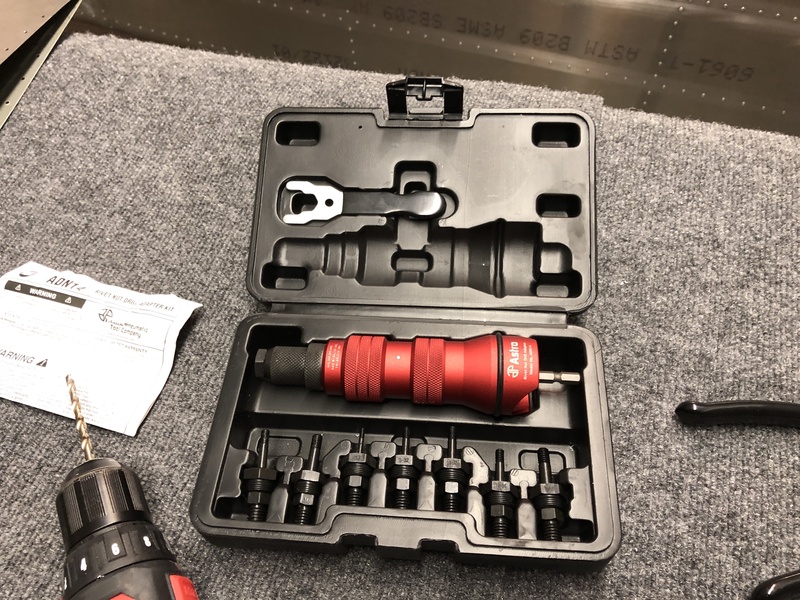 After a bunch of research on them, I actually ordered 2 different tools, one is made by Aircraft Tool Supply and creates a 100 degree dimple, and the other one promises to create a 120 degree dimple, I’m not sure who exactly actually makes it, but it’s sold via Wicks Aircraft tools. The 120 degree tool from Wicks is DT-17014 and it’s supposed to screw into a G28 hand riveter. 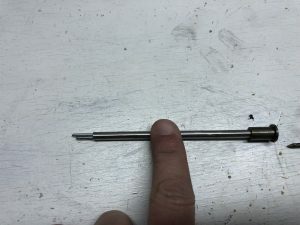 Unfortunately the Hand Riveter I own seems to have smaller threads than the G28 hand riveter, so I decided to try it on my Milwaukee rivet gun which had the correct thread size. 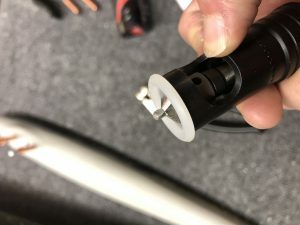 As I found out when I pulled with it, that ended up with too much force, so the head of the stem (which is a finishing nail) that is supposed to hold the back of the dimple in place actually deformed and got pulled into the top and got stuck. 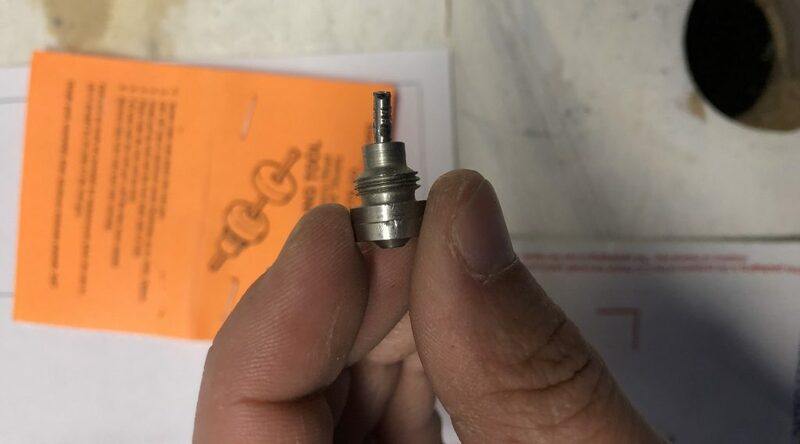 So after that happened, I had to cut off the nail, but I couldn’t pull it out of the tool, so I got out my Dremel and cut off the top part of the bit where the deformed head got stuck in. 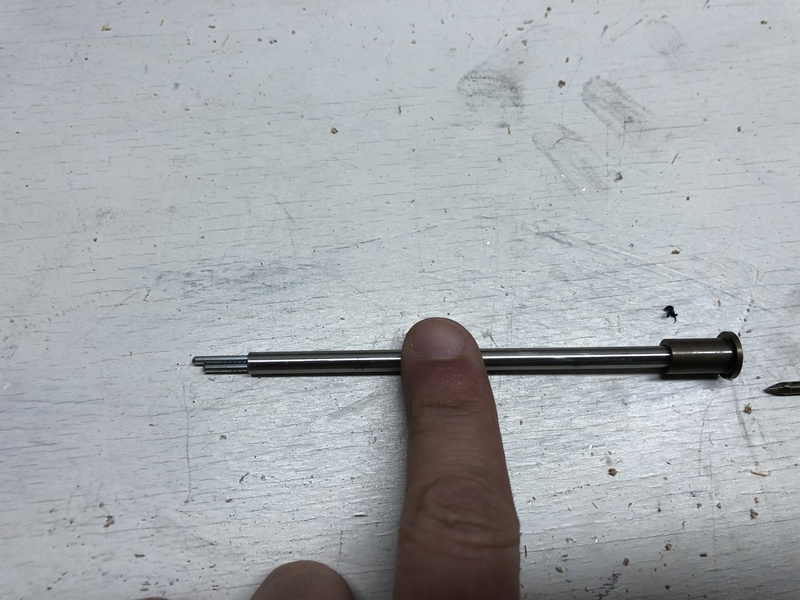 This way I could try to use the tool like the ATS pop dimple tool (5102D-1/8) works, which just sits on top of the rivet puller. 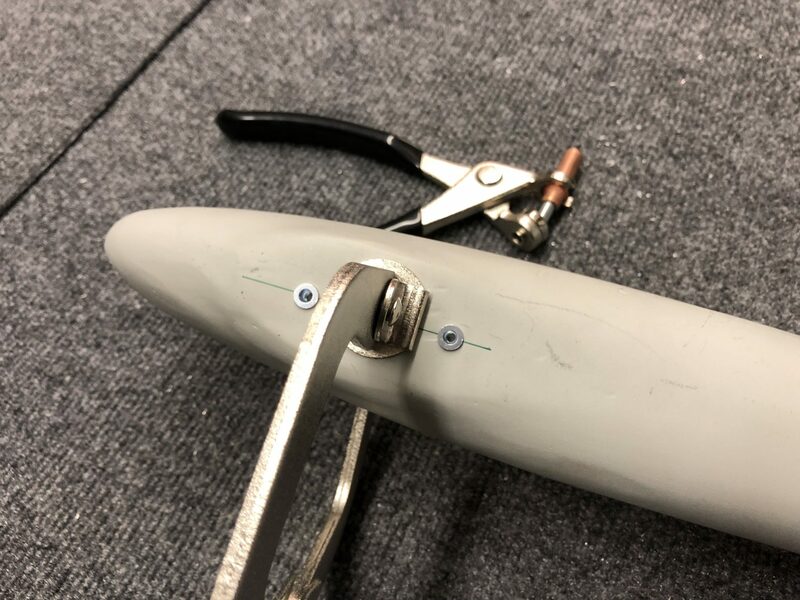 So now after that modification to the tool, I tried both by holding my test piece onto the existing dimples of the Horizontal Stabilizer and determined (as expected), that the 120 degree dimple has the better fit, so I used that one to make the dimple to the skin. 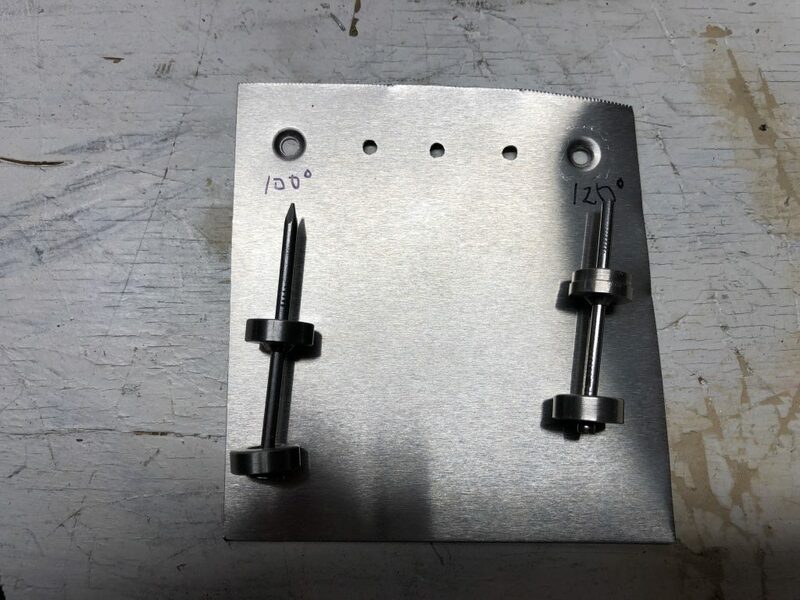 It came out well and the countersunk rivet sits flush like the other dimples. So for one or two dimples, this works out nice and easy and I didn’t have to go and get a dimpling press. 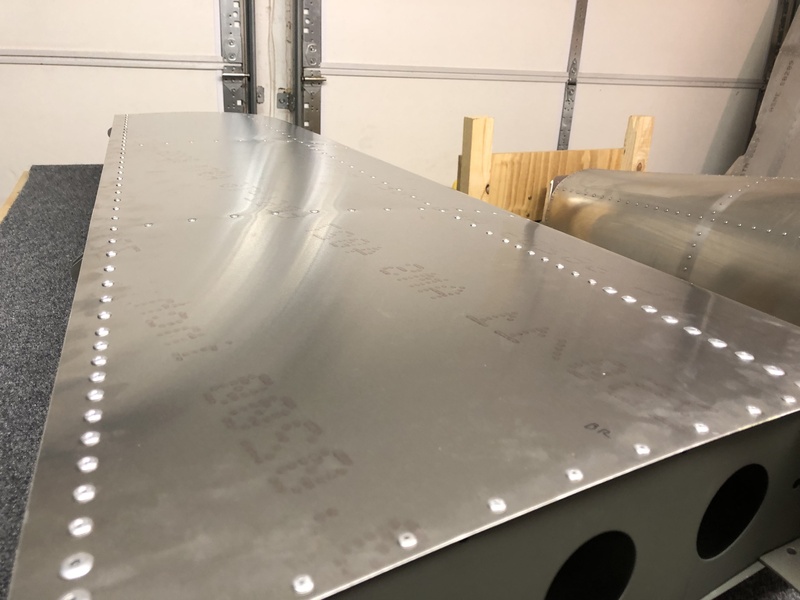 Once all that was said and done, I got to work and riveted the complete bottom of the left side skin. 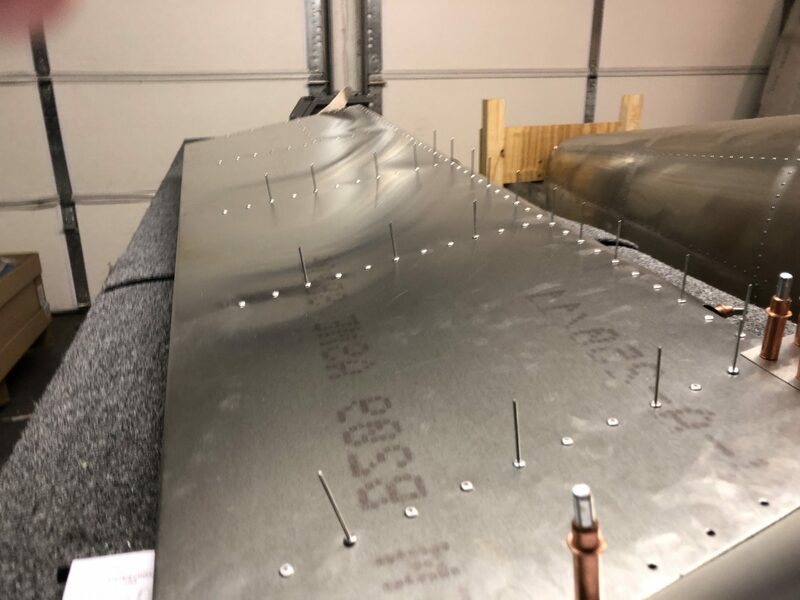 Then turned it around, removed all the Clecos from the top side one last time so I could apply the Sealant to the support plate like I did on the other side. And then I finished up riveting the top side. And lastly as promised, here’s the timelapse video of the whole endeavor of the Horizontal Stablizer. 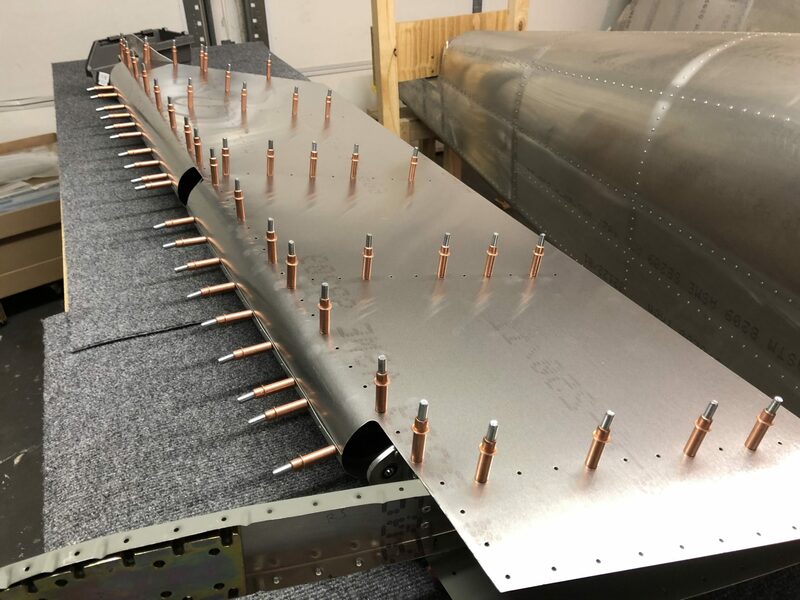 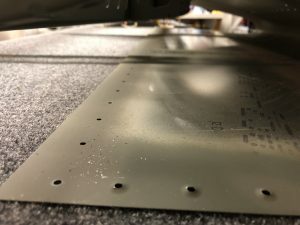 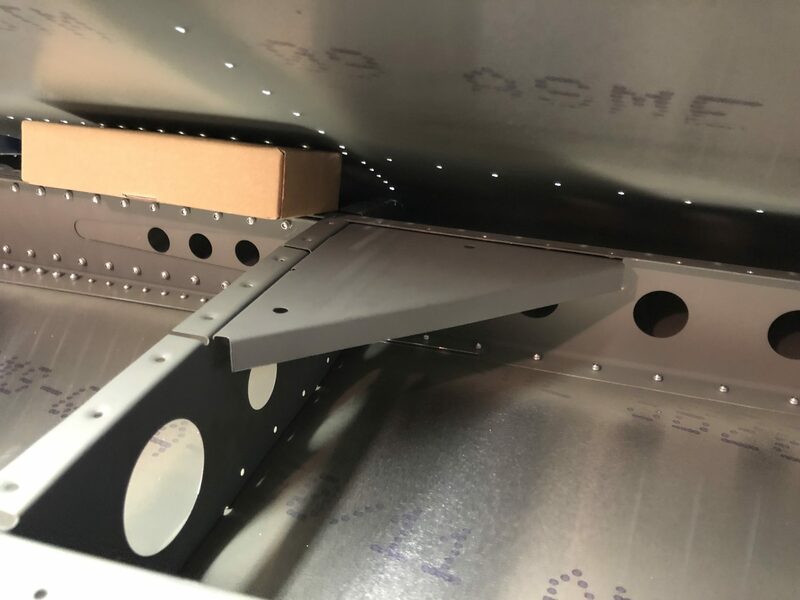 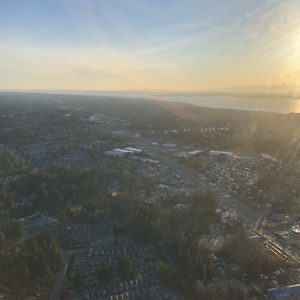 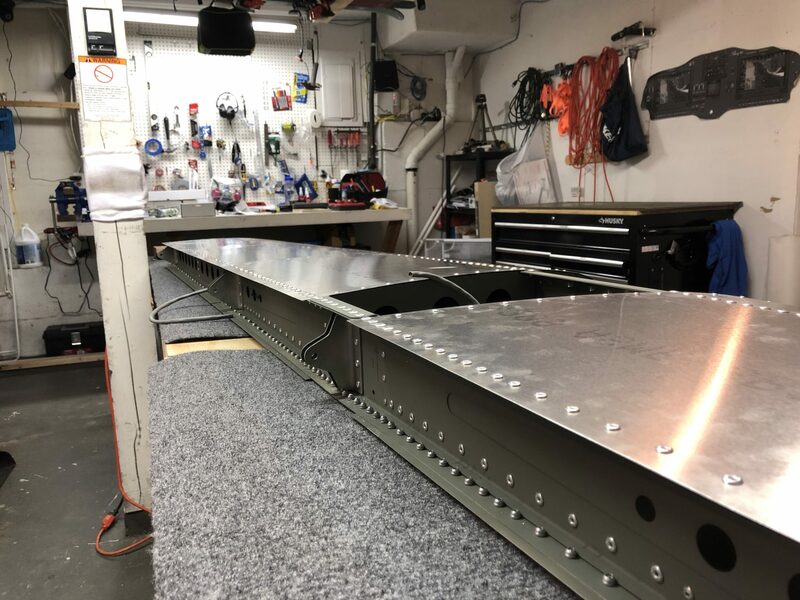 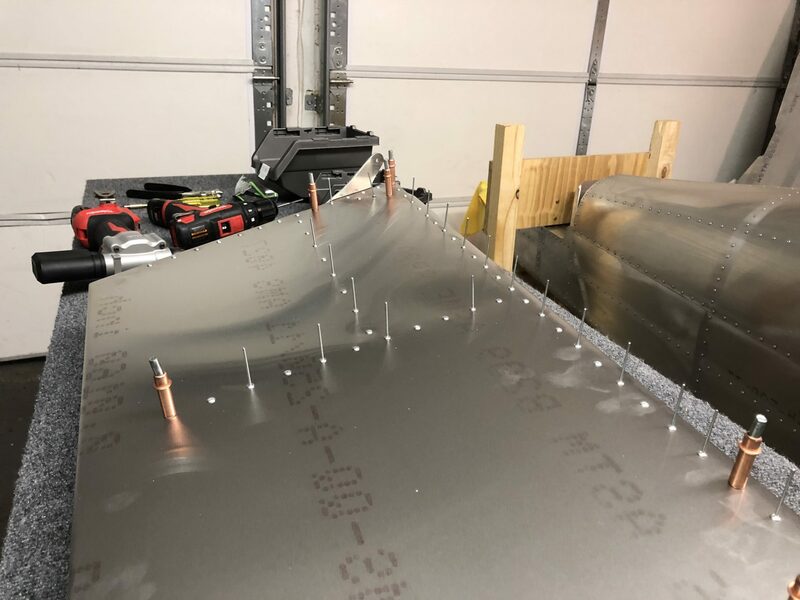 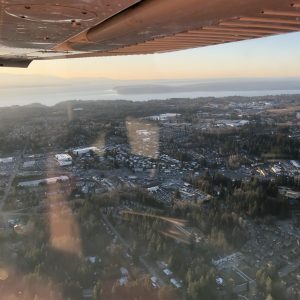 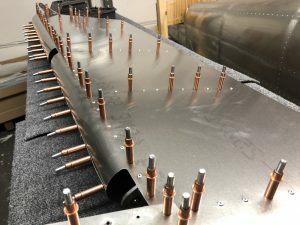 This entry was posted in Horizontal Stabilizer, Empennage and tagged timelapse, Empennage, dimpling, skins, riveting, reaming, sealant on 2019-03-24 by Philip Rueker. 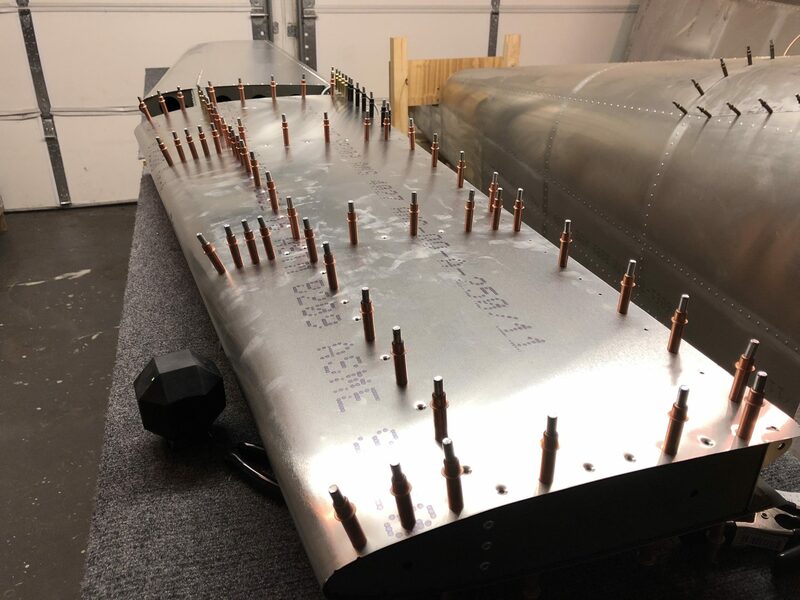 Today I spent another hour on riveting the Horizontal Stabilizer to finish closing up the right side. 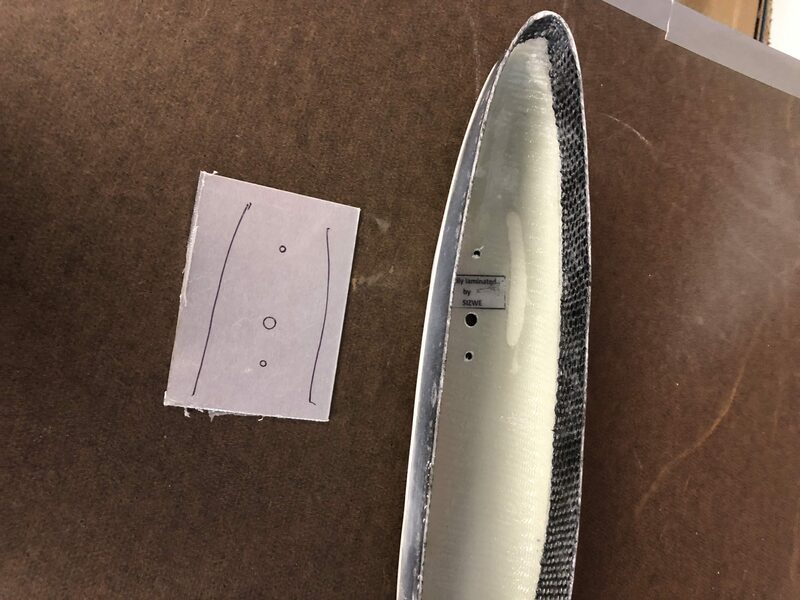 The top has a support plate as seen below to add some reinforcement to the skin. 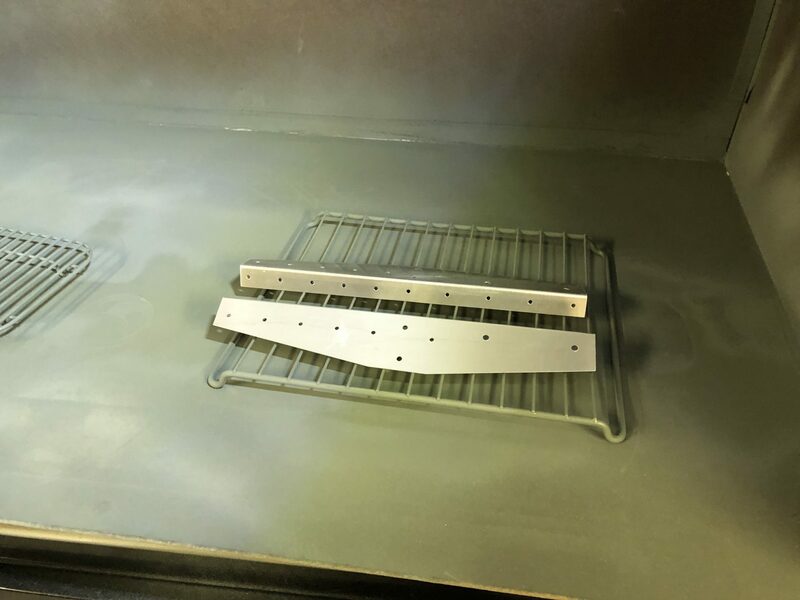 To prevent the large metal surfaces from rubbing, the instructions call for sealant to be added between the plate and the skin before closing it up. 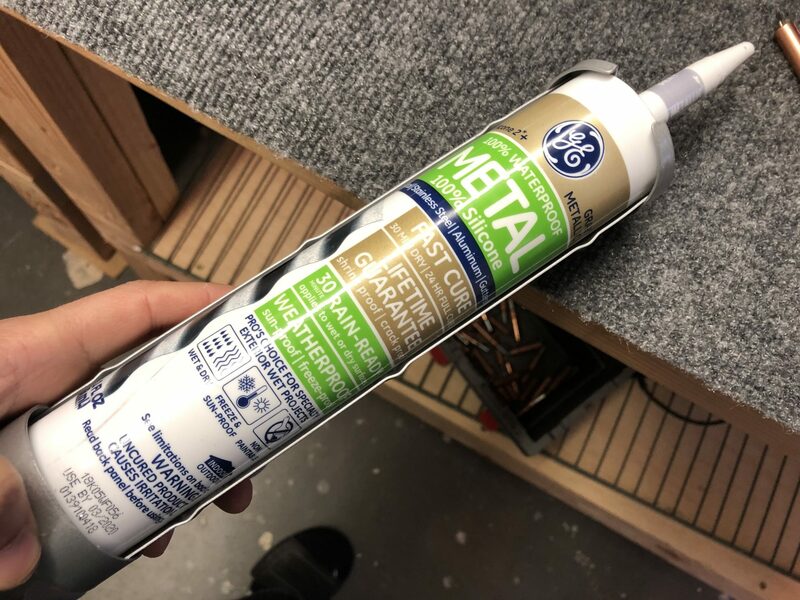 Luckily Matthew had already clarified with TAF what the right sealant to use is, GE5050 Metal Silicone, so I had it ready for a while. 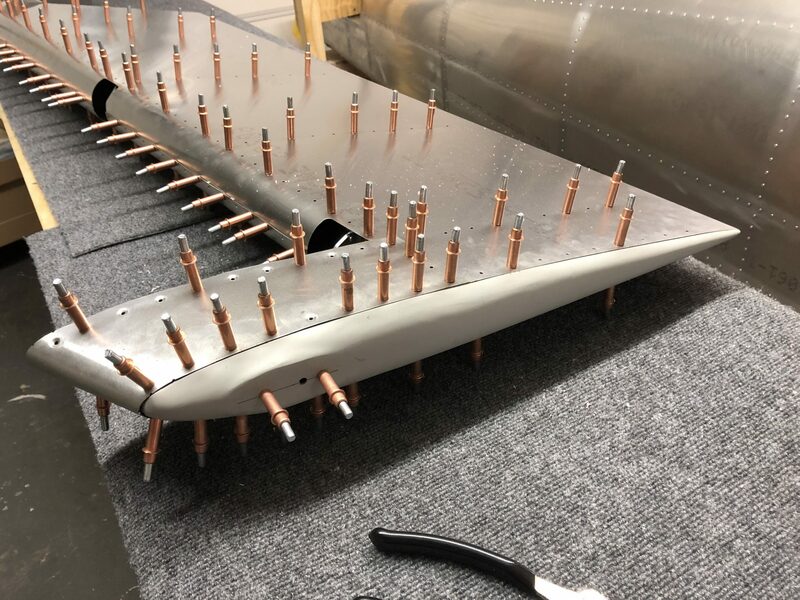 Once that was done, I closed it up one last time, ensuring a proper fit and the finished the riveting work. So now I’m done with the complete skin on the right side and just need to do the same thing on the left side, but I need to add one more dimple on that side that was missed, so I’m waiting for a dimpling tool to finish that, which should hopefully come in the new few days. This entry was posted in Horizontal Stabilizer, Empennage and tagged Empennage, dimpling, skins, sealant on 2019-03-20 by Philip Rueker. 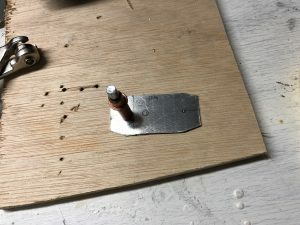 After I was done, I took off the skin one last time to clean out all the debris from the drilling and check and fix any burrs. 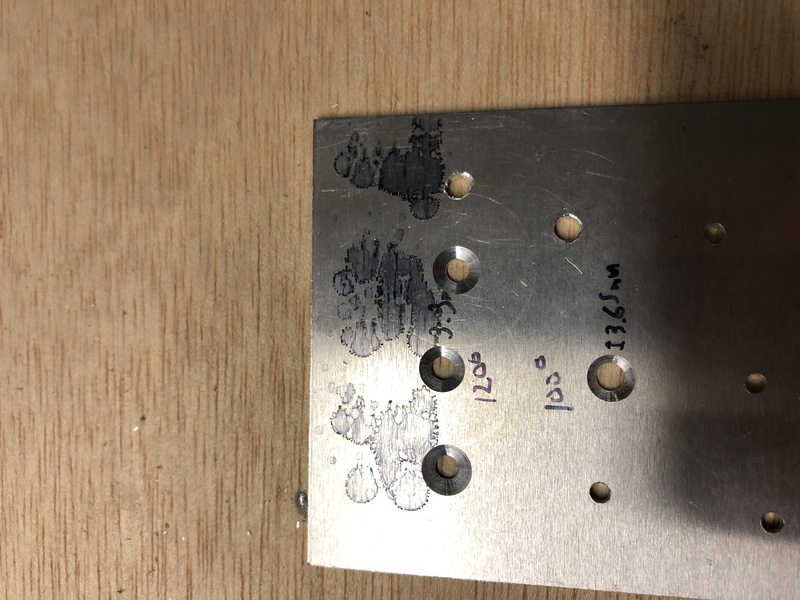 After that it was time to put it back together again and do one last check for alignments before riveting using my self leveling laser level. 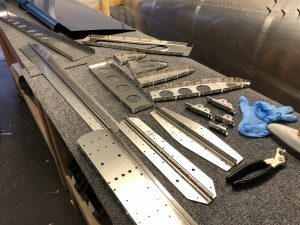 And then at last, time to start the riveting. 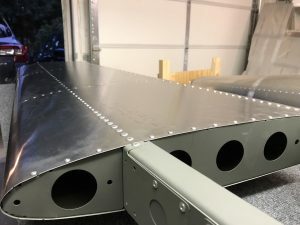 I managed to finish the bottom of the right side, so 3 more sides to go next time. 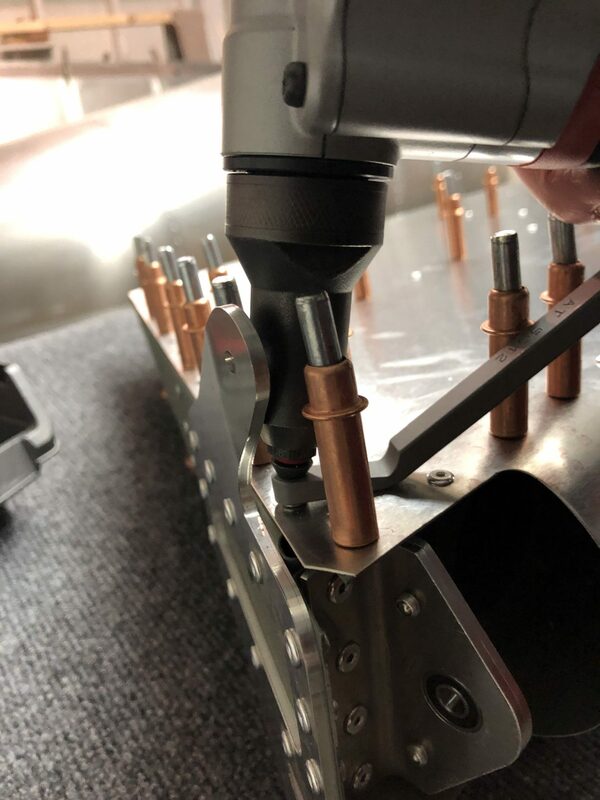 One small problem I encountered while doing the riveting was, that because I was riveting straight down, it happened twice that some of the mandrels of the 3.2 mm rivets got stuck in the rivet gun, so I had to take it apart and push/pull out the mandrels. 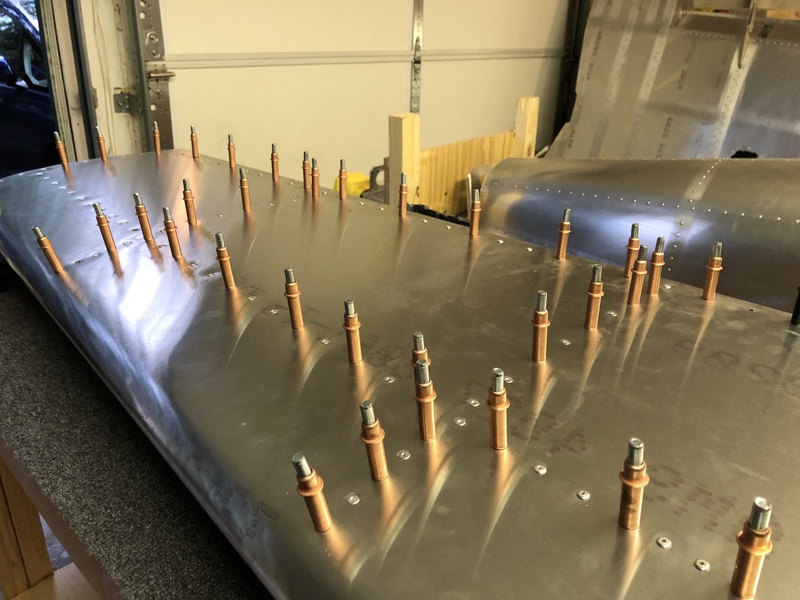 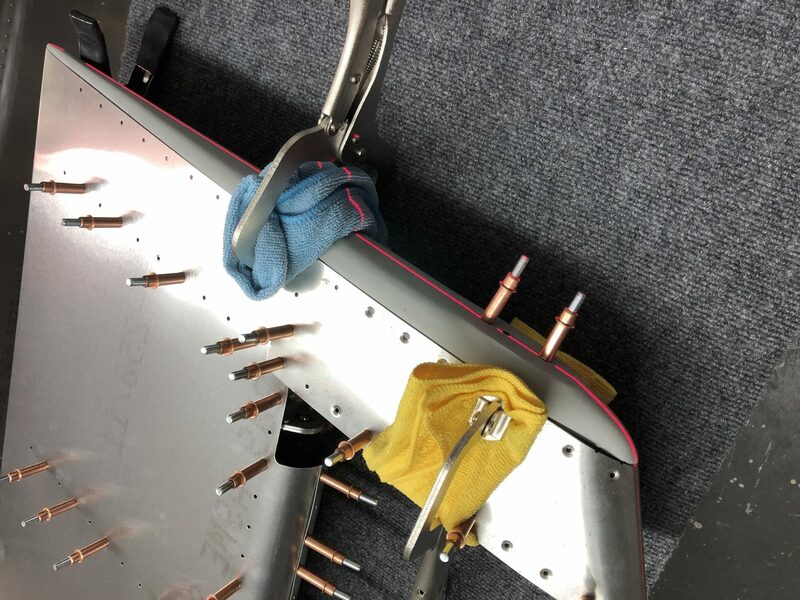 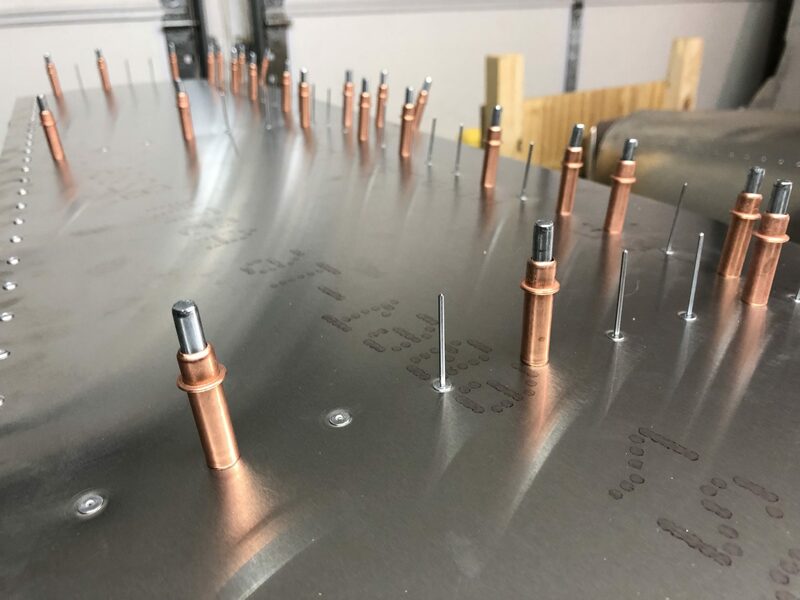 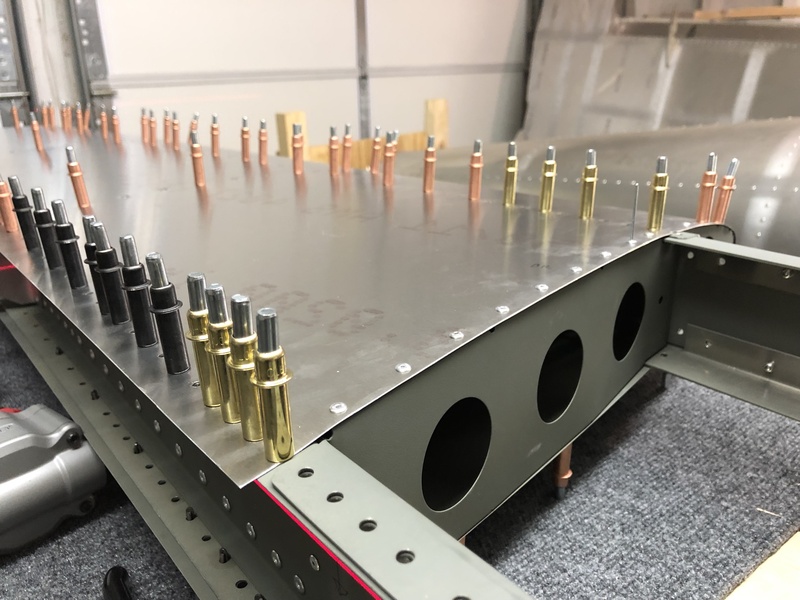 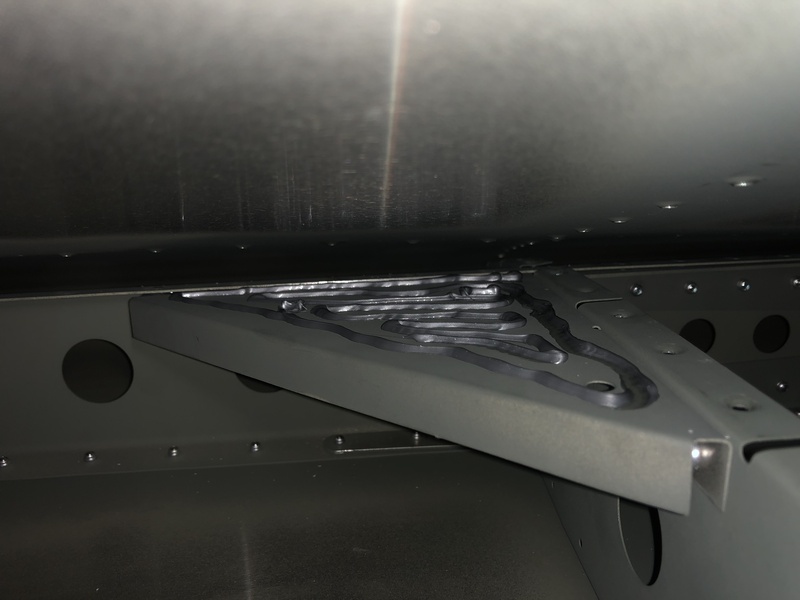 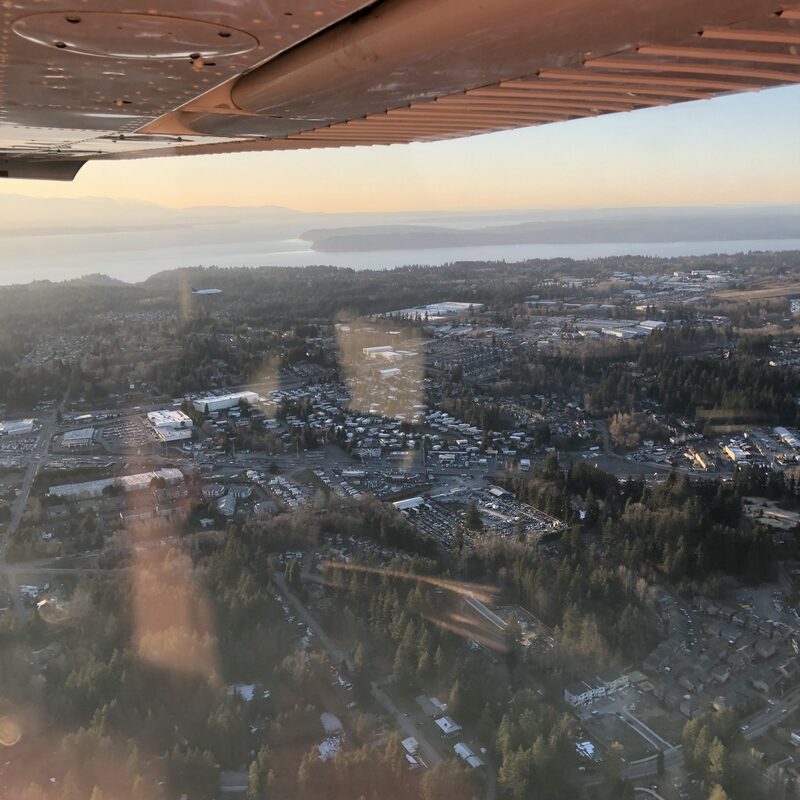 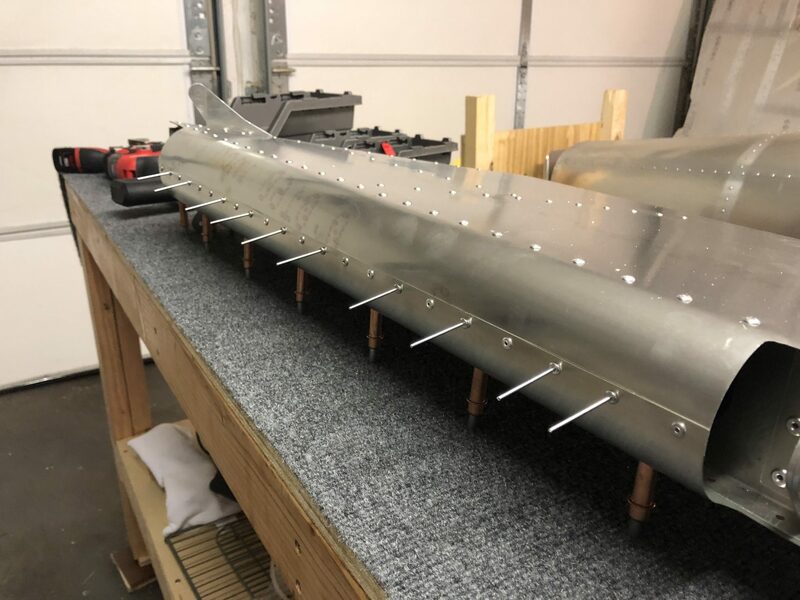 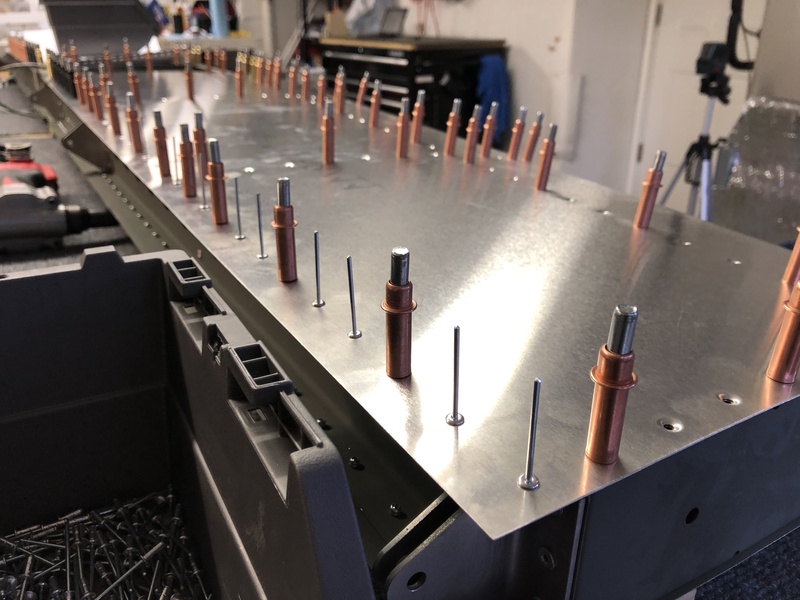 This entry was posted in Horizontal Stabilizer, Empennage and tagged tools, Empennage, dimpling, skins, riveting, reaming, alignment on 2019-03-19 by Philip Rueker. 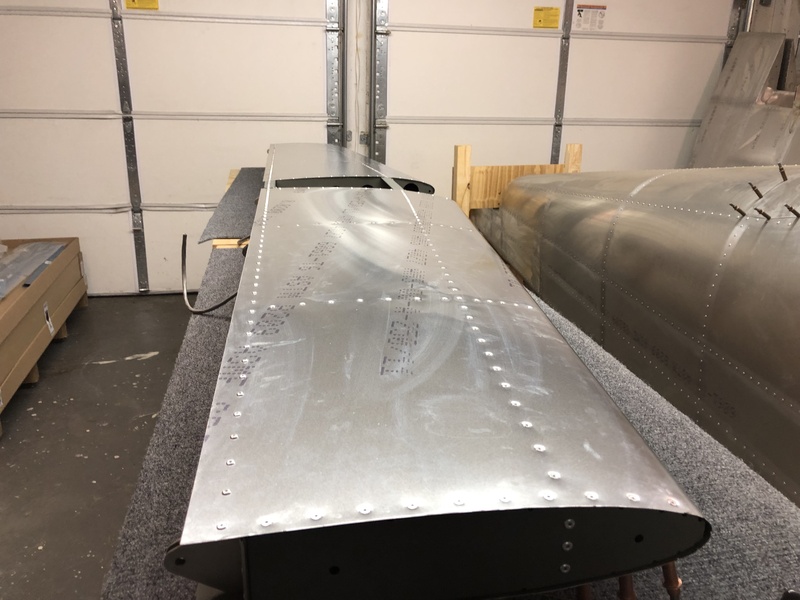 Today I was working on fitting the skin onto the Horizontal Stabilizer. It took a lot of clecos to align everything, but eventually it all came together well on both sides. The next step will be to match-drill up the dimpled holes as per the instructions. The design for the dimples is such that the holes are drilled slightly smaller than the final size. 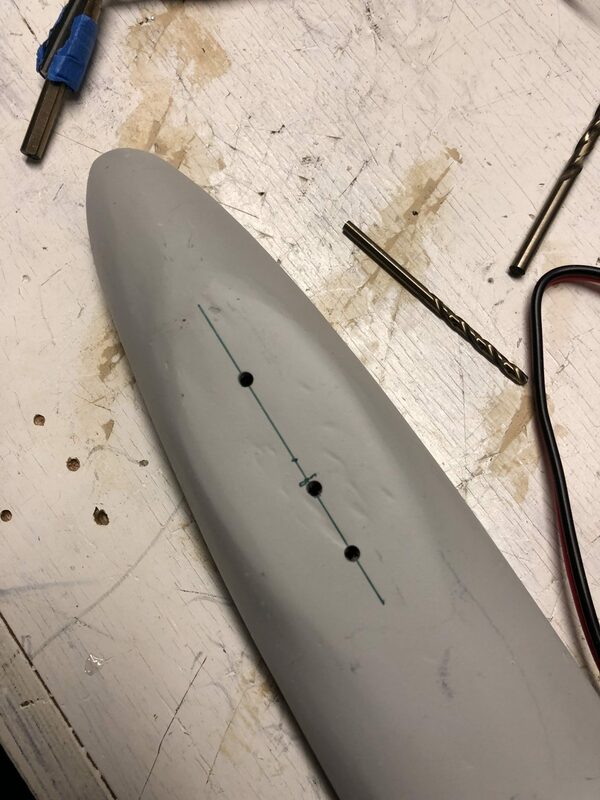 Then they get dimpled and then you assemble everything to fit it together and finally match-drill up the dimpled holes to the final size. I will post another timelapse video of the whole process once I’m done with the drilling and riveting. 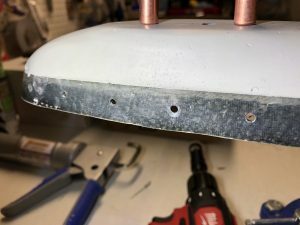 Another thing I recently did was do a small experiment to showcase the reason to use the correct 120 degree countersinking pilot for the countersinking holes that are not dimpled due to the thickness or type of the part (such as the fiberglass tips), after we had a thread about dimpling and countersinking it on the Sling Builders discussion group. 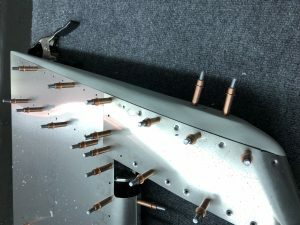 Normal AN style solid aviation rivets are 100 degrees, so most countersinking tools sold by aviation tool supplies by default come with 100 degree countersinking pilots, but blind pull rivets like those used in the Sling are 120 degree, so hence the need to use a 120 degree pilot to get the best fit. 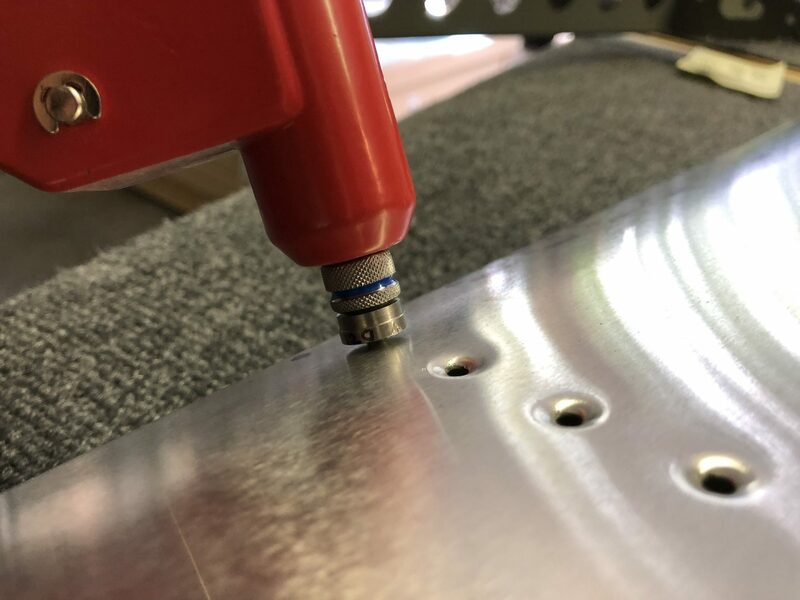 To showcase the why that is so important, I drilled some holes in a 0.04 inch piece of metal (which is the thickness where you start to countersink instead of dimple) and used the 100 degree pilot on one hole and the 120 degree pilot on another. 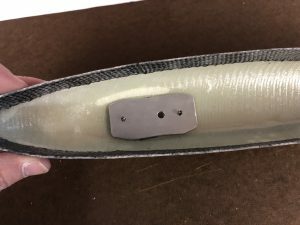 The goal was to insert the same countersunk rivet (which has a 120 degree slant) used for the Sling in both and have it sit flush. 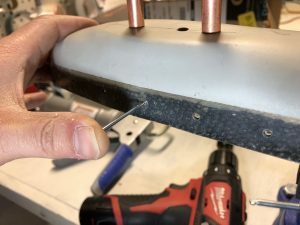 In order to get a flush fit with the metal using the rivet, the 100 degree countersunk had the be deeper. 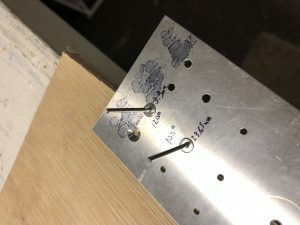 This in turn results in a larger hole and thus wouldn’t have as much material to grip onto. As can be seen below, the 120 degree countersink resulted in about 3.3 mm hole, while the 100 degree resulted in a much larger 3.65 mm hole. 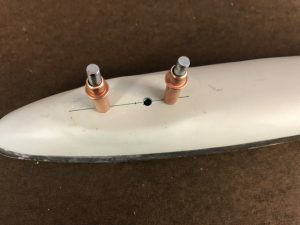 So the moral of the story, make sure you use the correct countersinking pilot when working with pull rivets. I’ve created a separate page on drilling, rivet sizing and countersinking as a quick reference for myself and figured it might be useful for others. 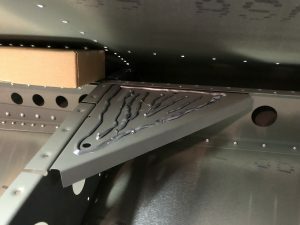 This entry was posted in Horizontal Stabilizer, Empennage and tagged tools, Empennage, dimpling, skins, countersinking on 2019-03-19 by Philip Rueker. Not much progress, but I took a couple of closer looks at the tailcone of the Fuselage and ran some fishing wire through it for the VOR/LOC/GS wire from the tail. Today is one of those few winter days with nice sunshine, so I went to the airport in the evening and did some pattern work and got a bonus moment when the Boeing Dreamlifter came in to land on the parallel runway. 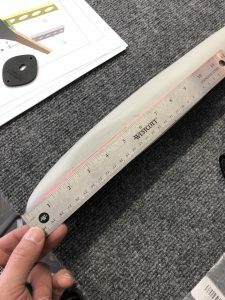 After getting home, I was doing some inventory and trying to figure out which part to put together next. 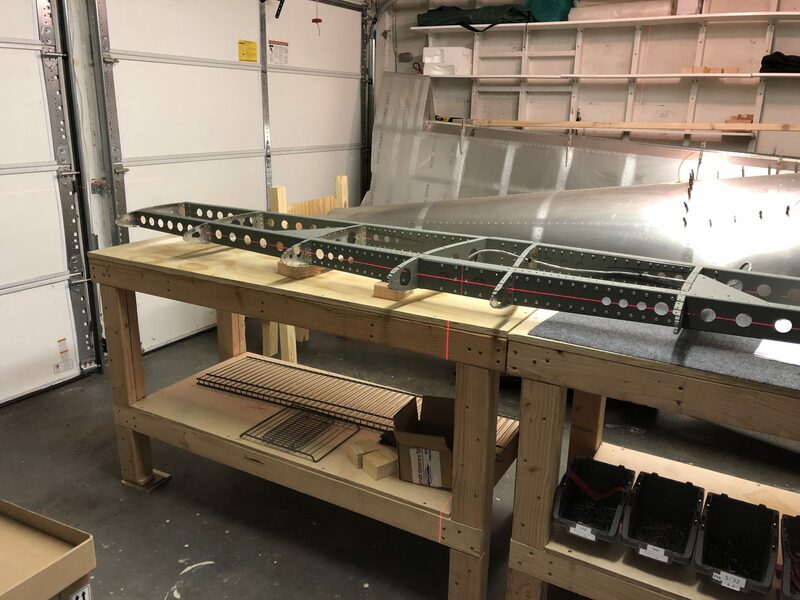 I don’t want to close up the Rudder yet since I don’t have the light yet and want to fit that first. 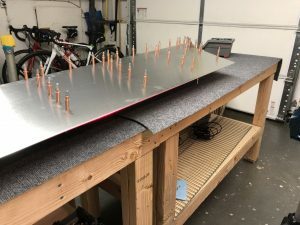 I got the Sealant I need to close up the Horizontal Stabilizer over the weekend, so I took that back out and put it on my workbench. Then I got out my laser level to see if it all aligned and realized that my working surface is actually pretty slanted, so I spent some time to even out the tables. As it turns out, the garage floor has a pretty good slant as you can see below – 3 pieces of wooden shims on the far side, versus none on the near side. This entry was posted in Workshop, Miscellaneous and tagged workshop, tools, Empennage, Electrical, Flying, Tailcone, wiring on 2019-03-05 by Philip Rueker.